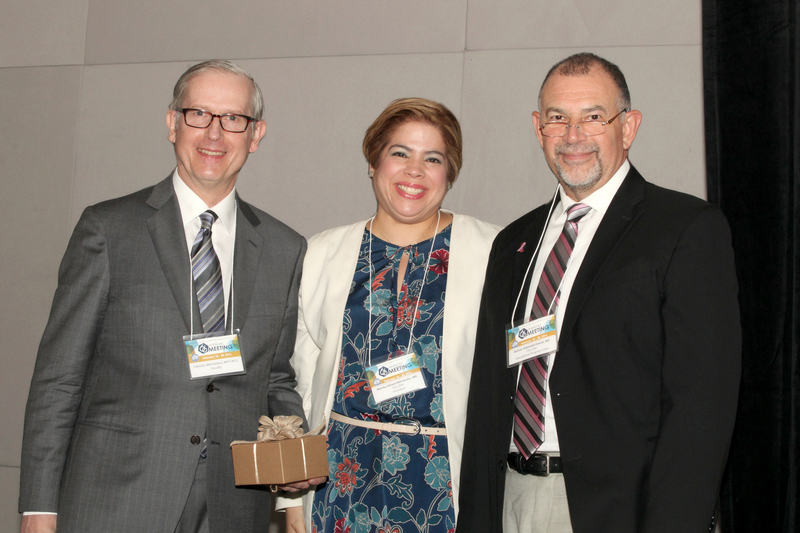 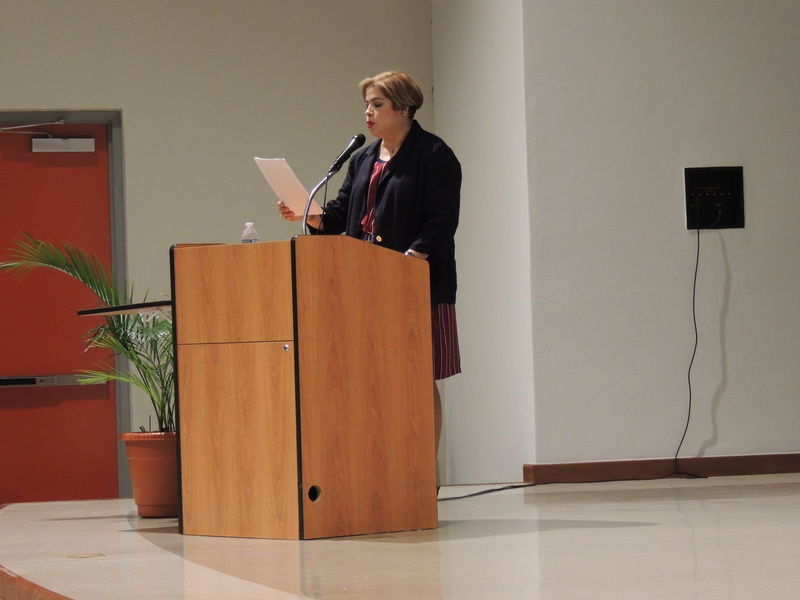 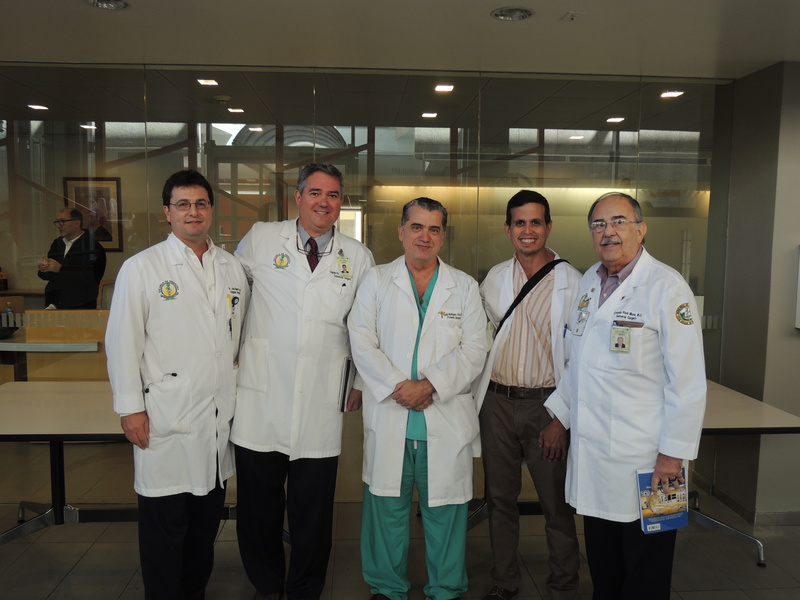 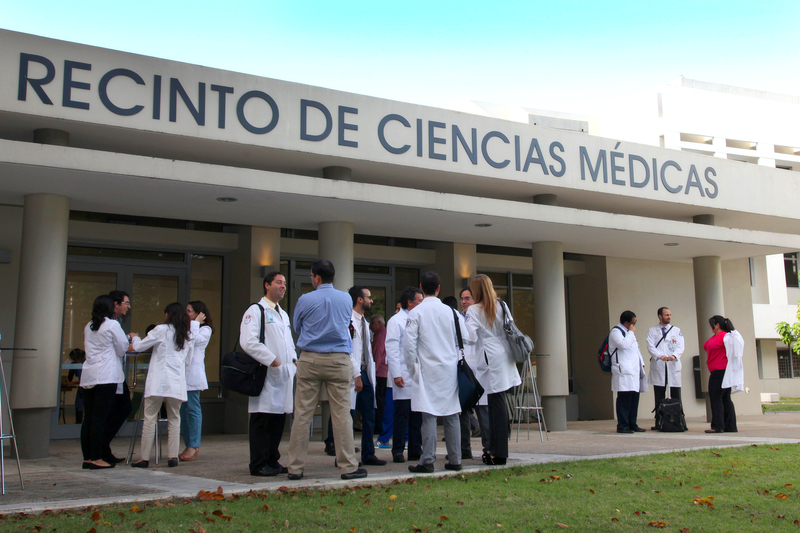 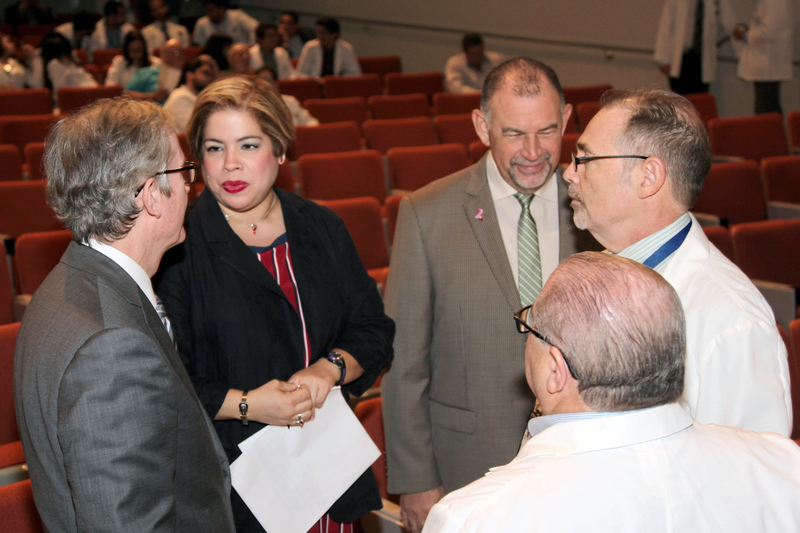 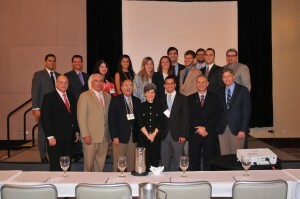 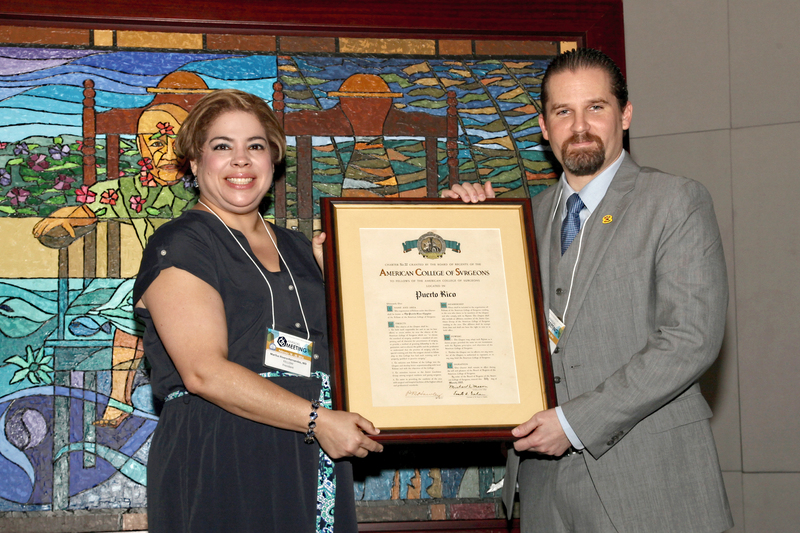 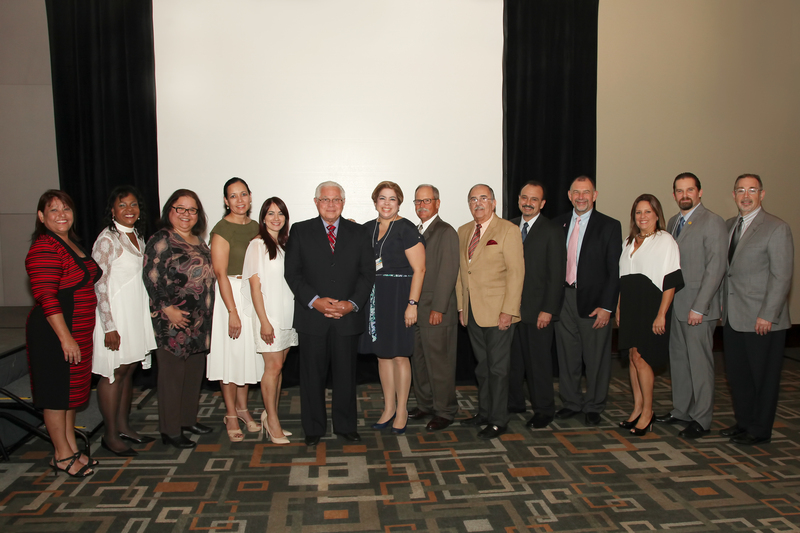 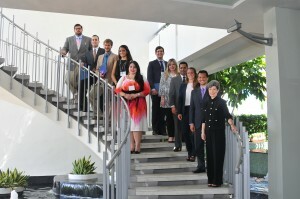 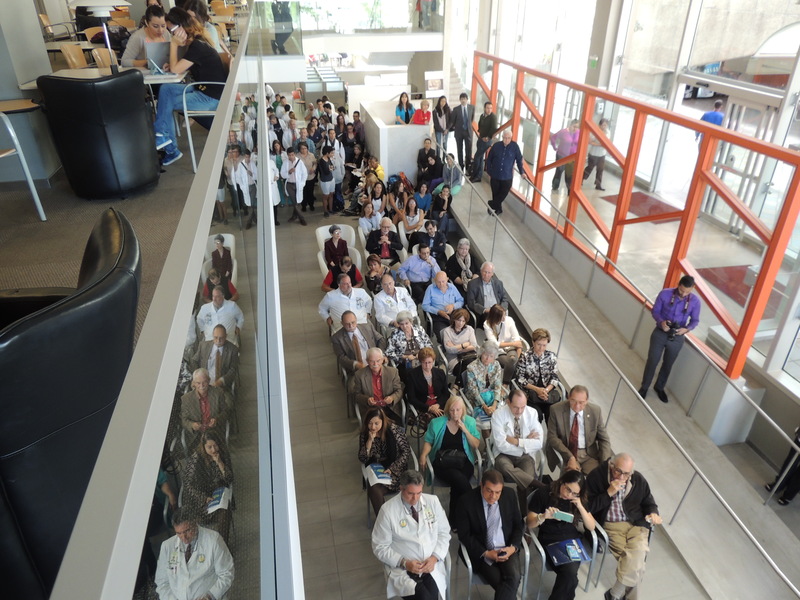 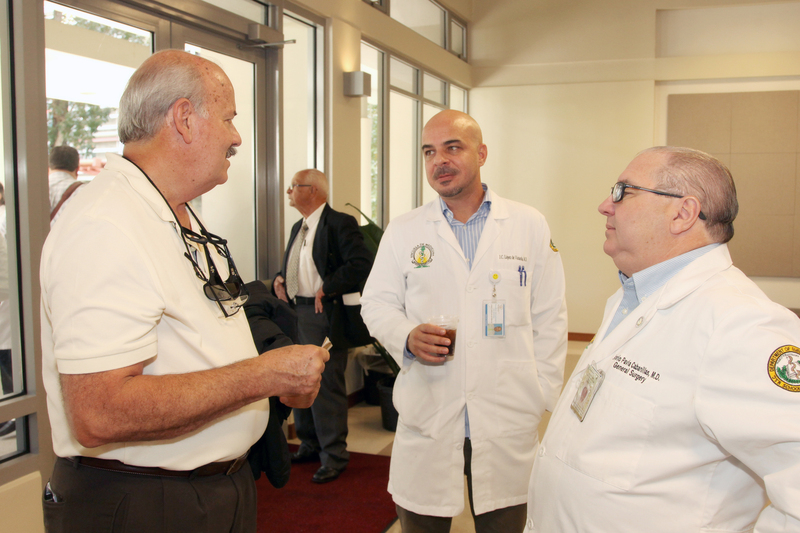 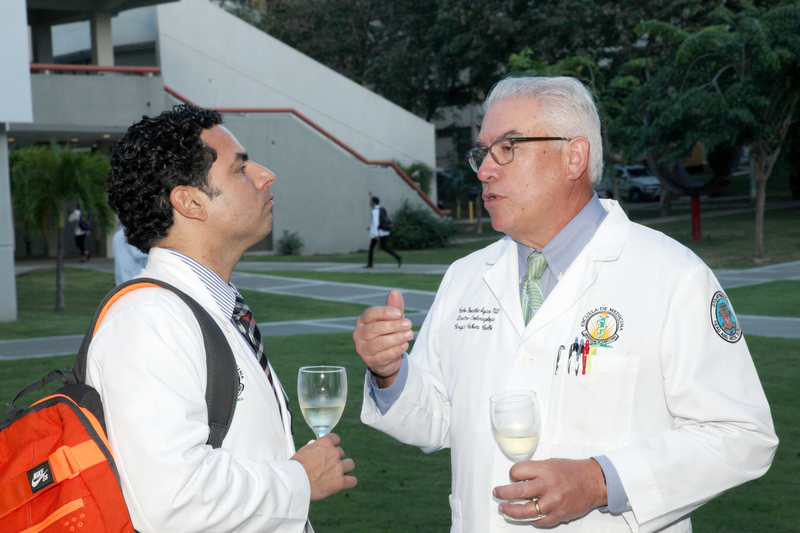 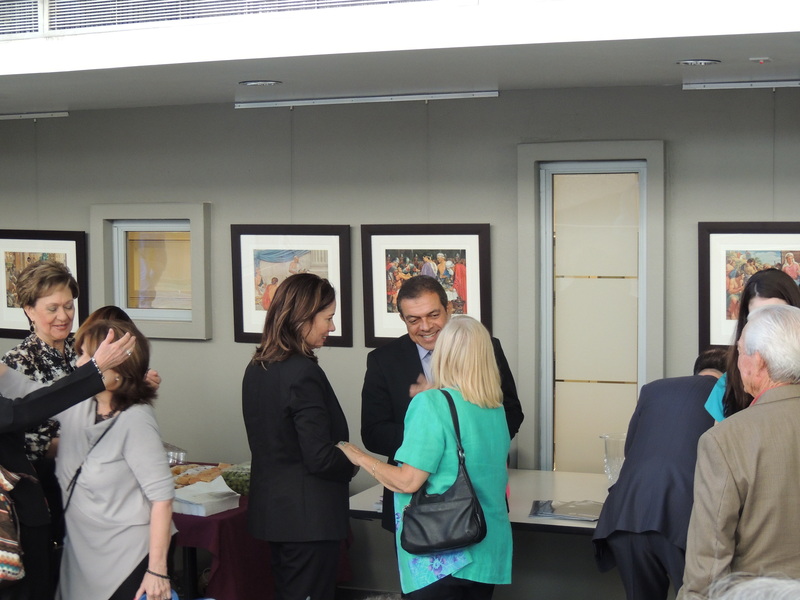 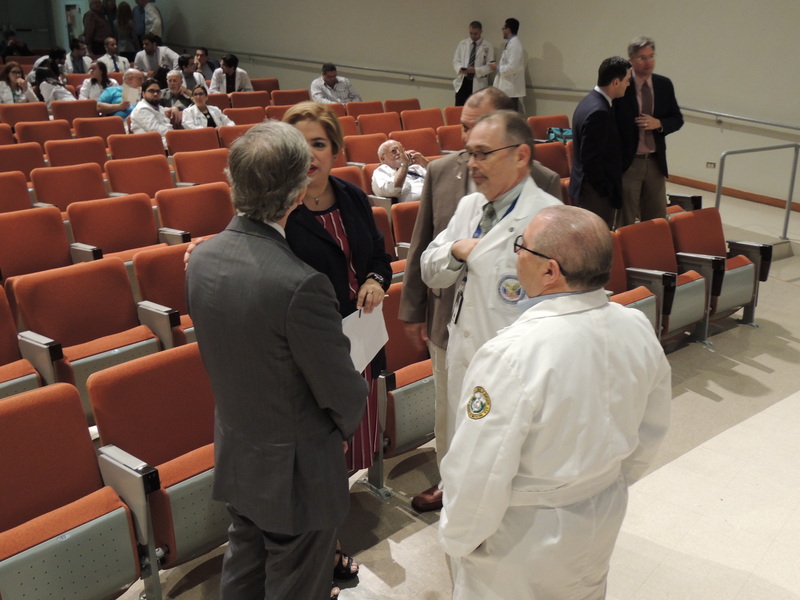 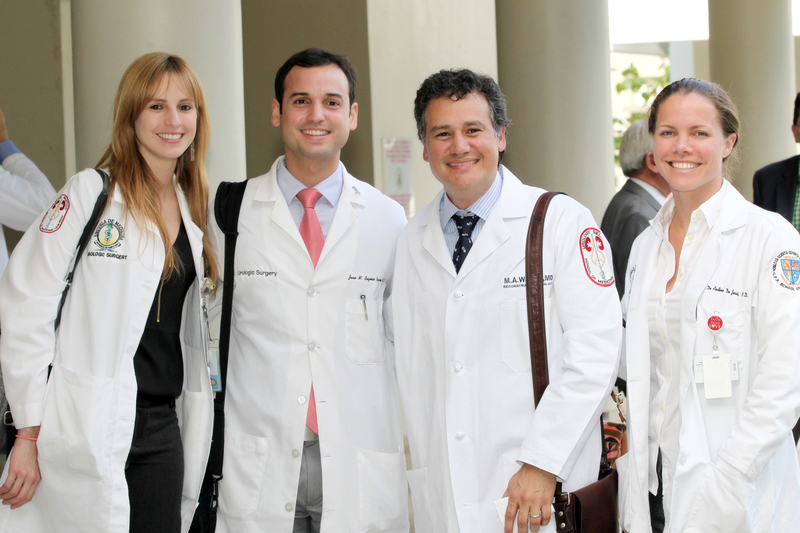 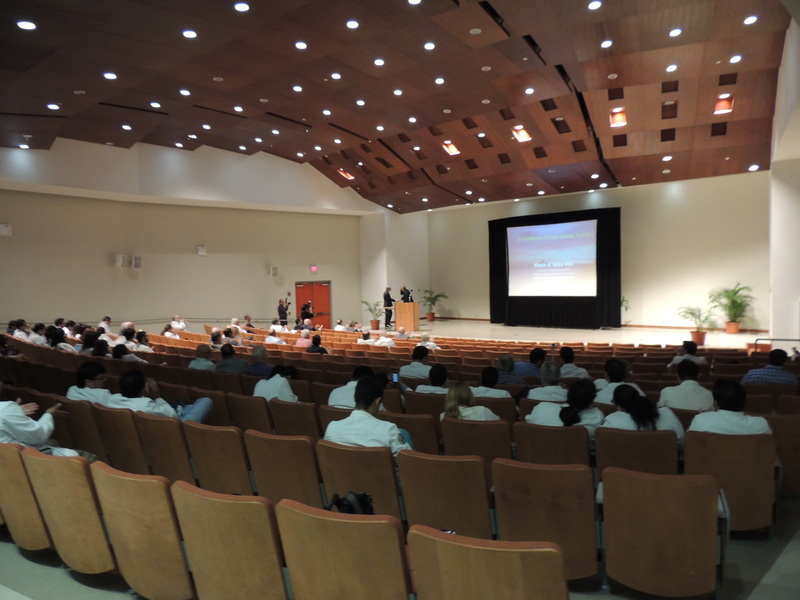 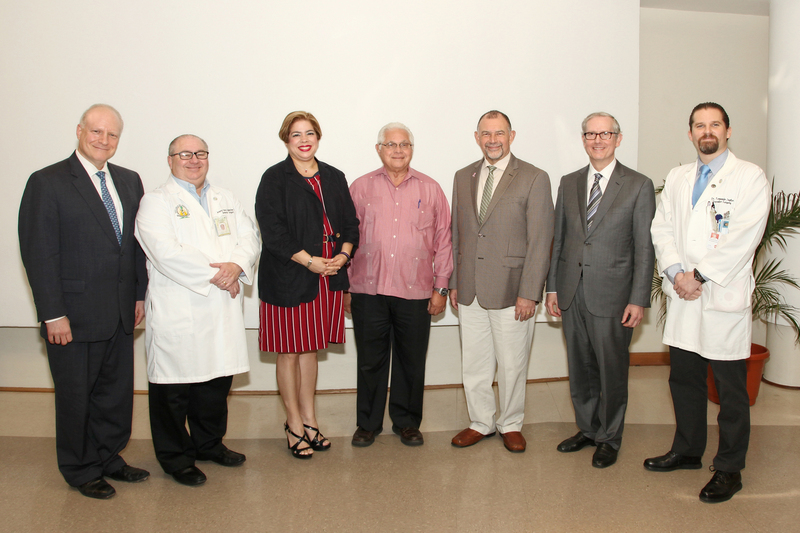 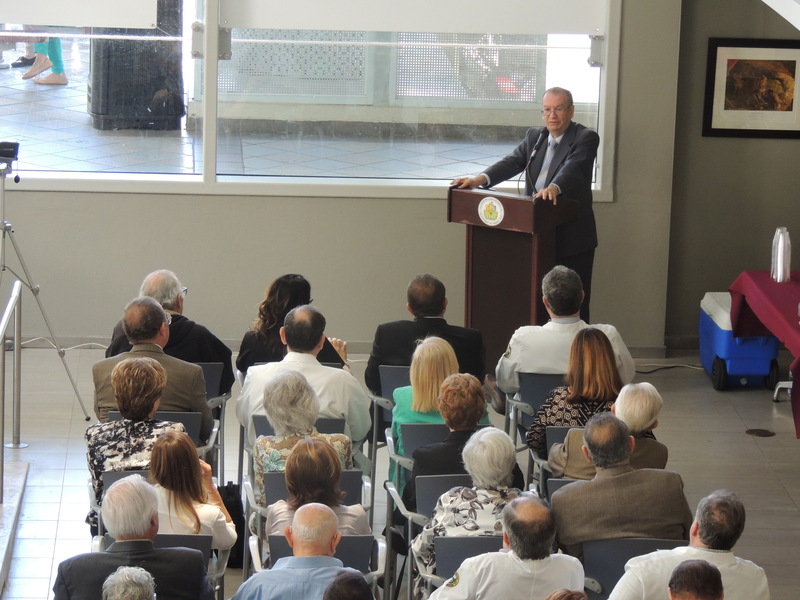 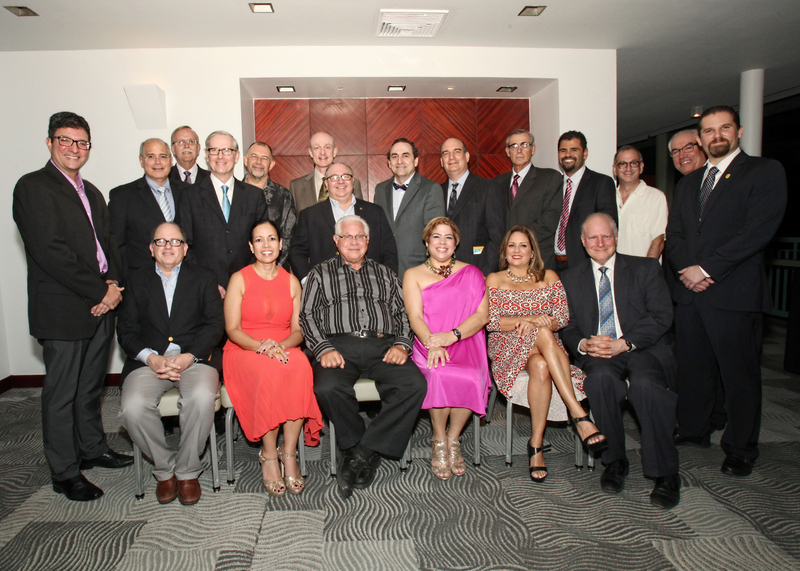 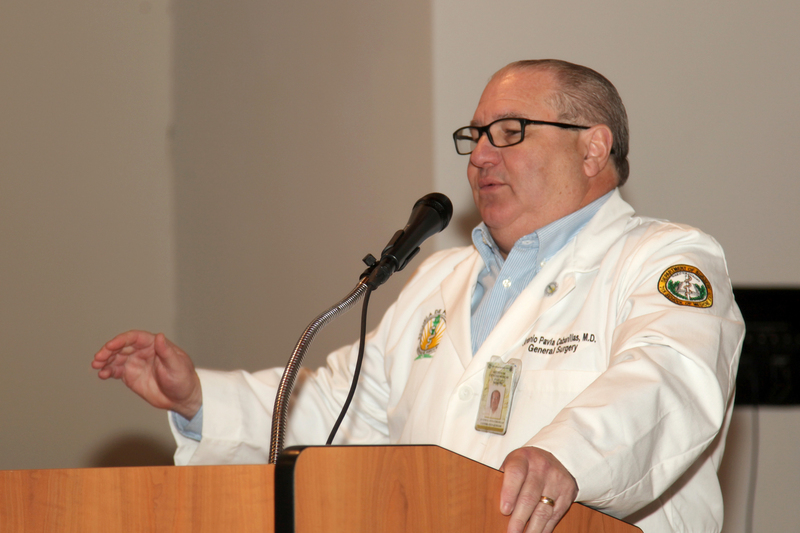 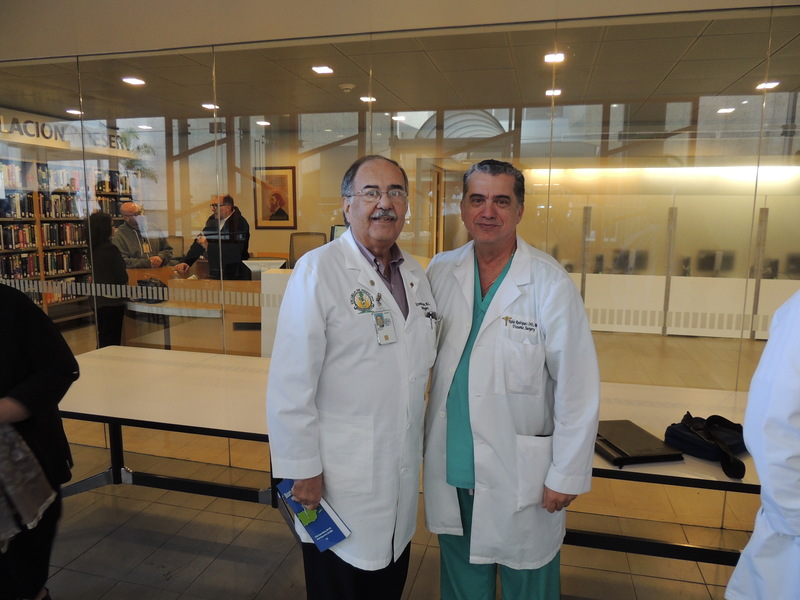 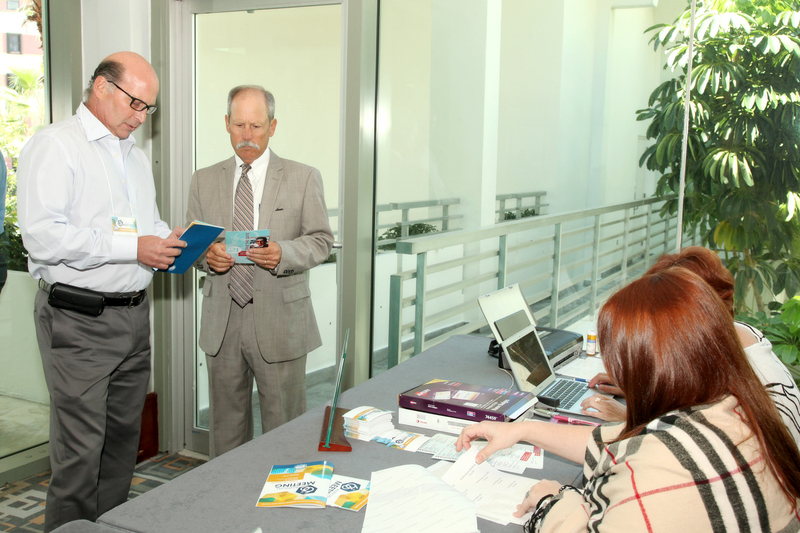 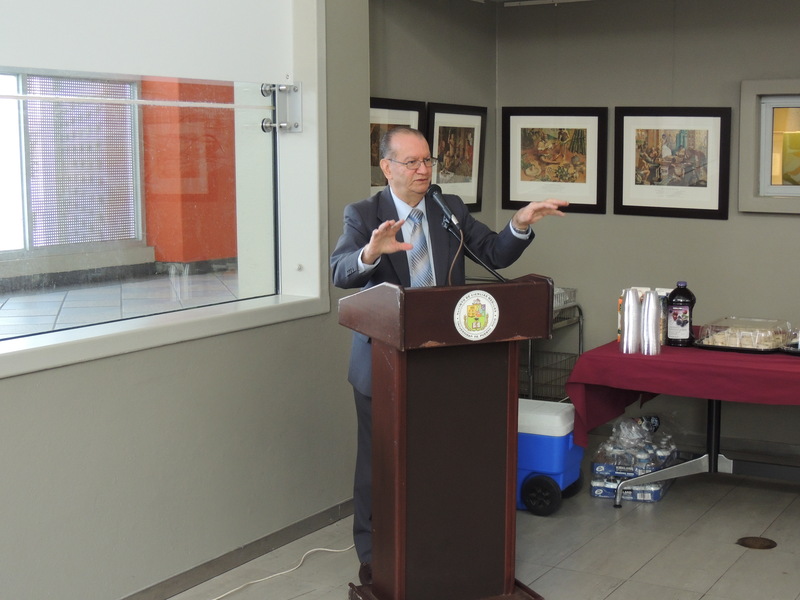 On February 18, 2016 the 66th convention from the Puerto Rico Chapter of the American College of Surgeons was set in motion at the Medical Sciences Campus of the University of Puerto Rico. 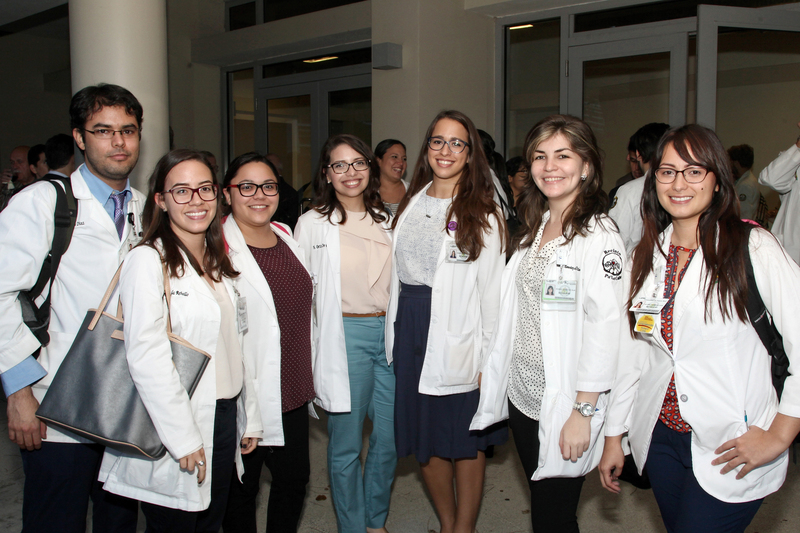 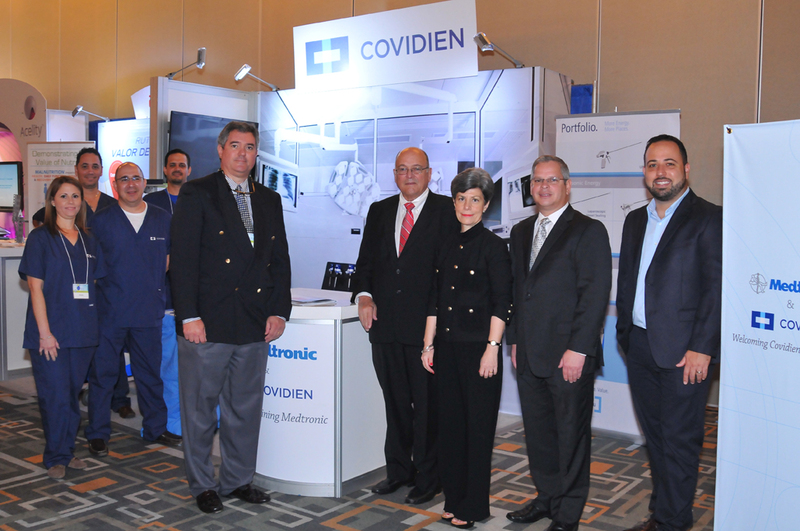 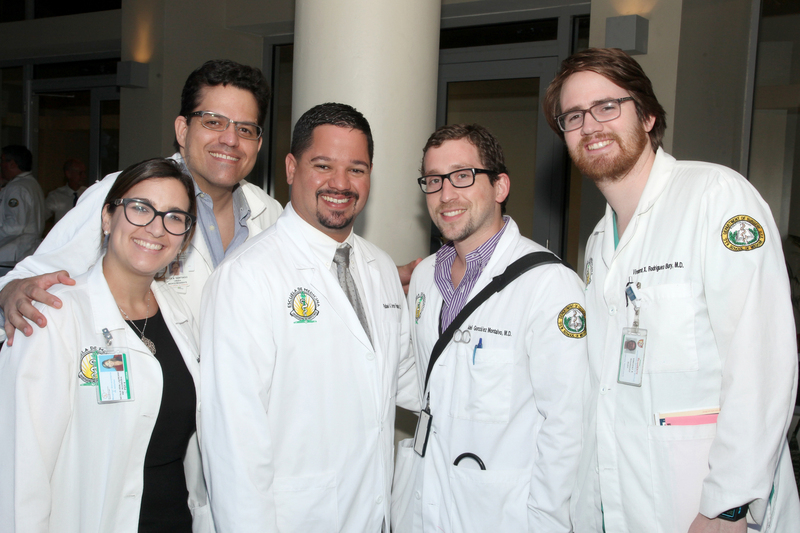 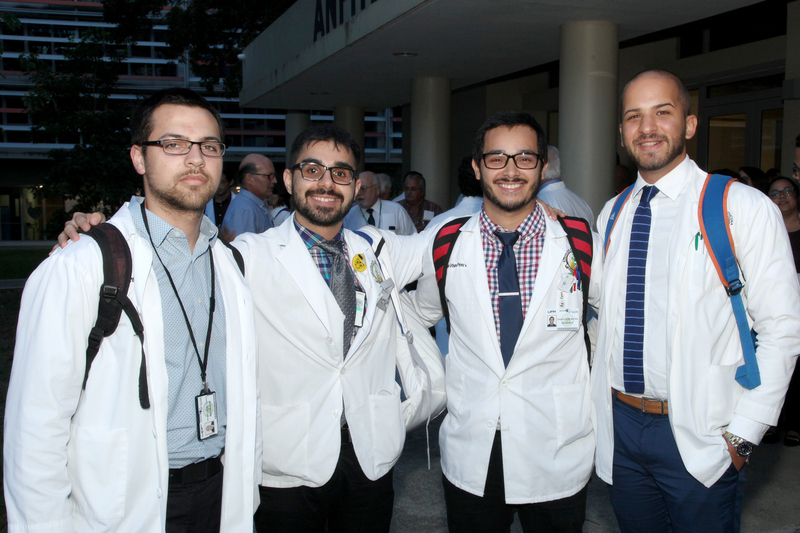 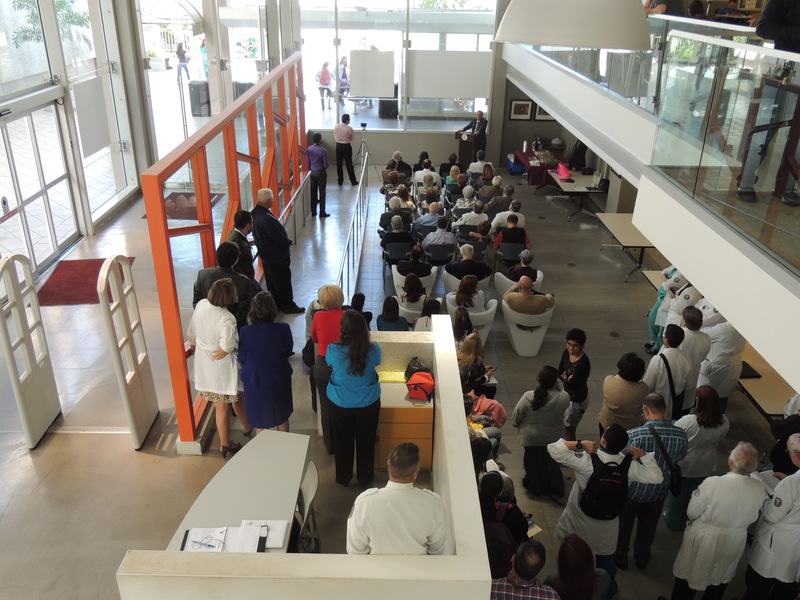 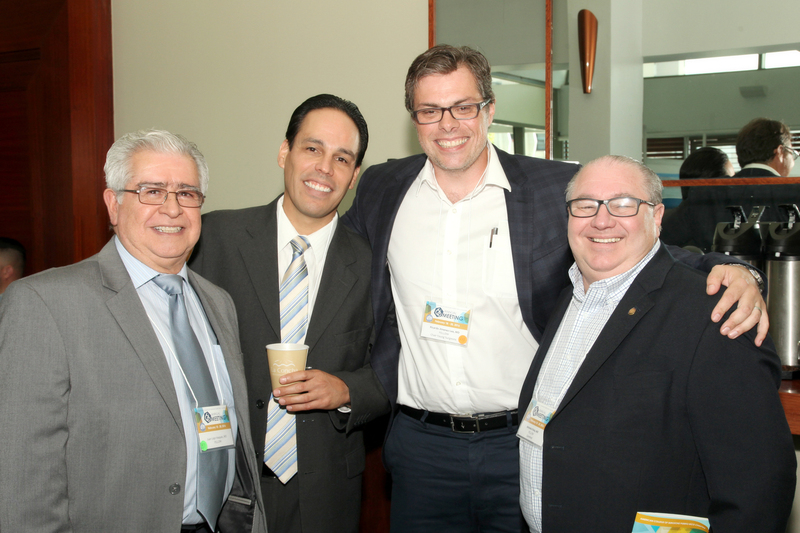 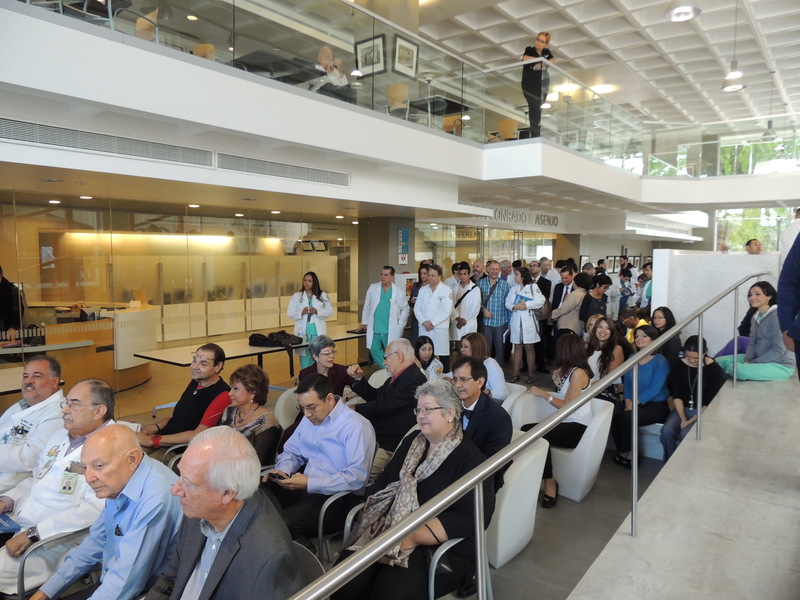 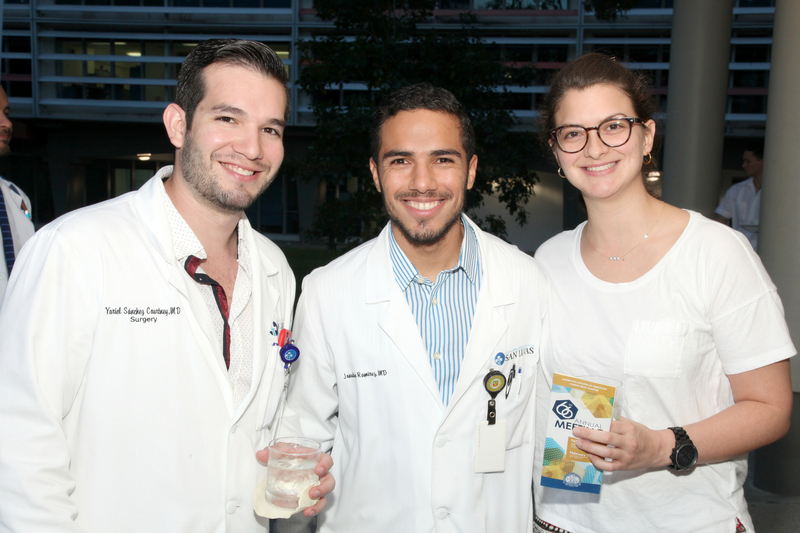 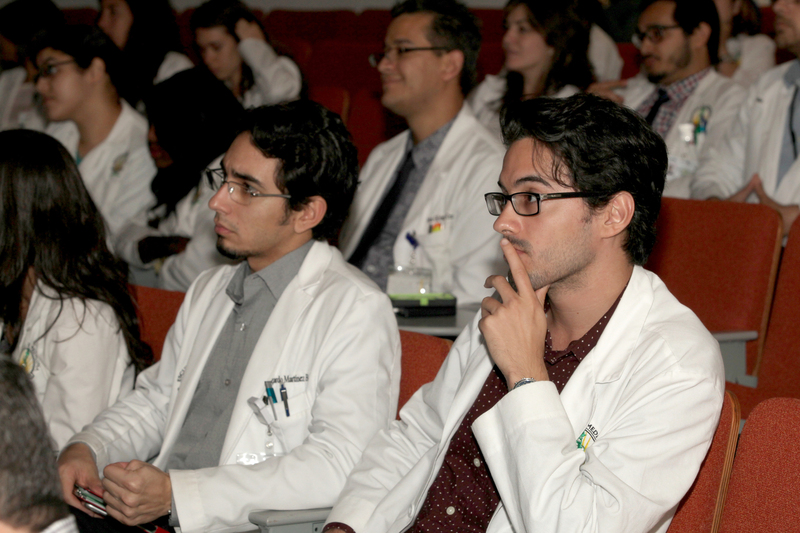 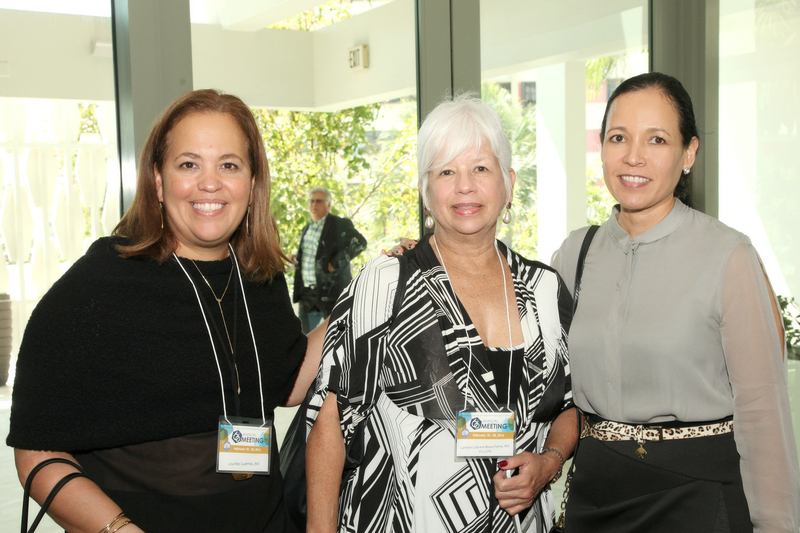 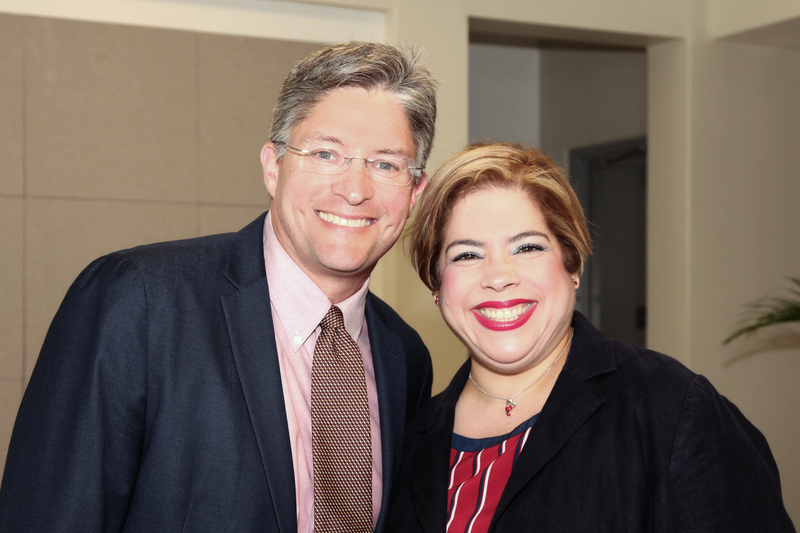 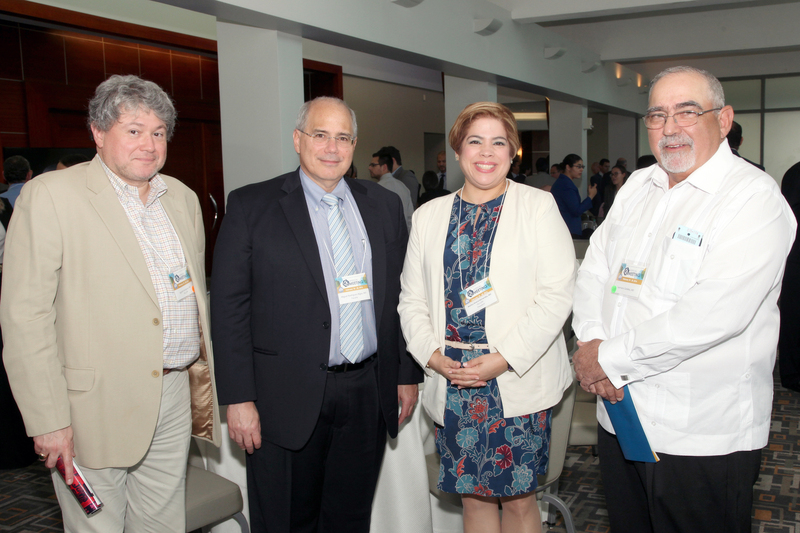 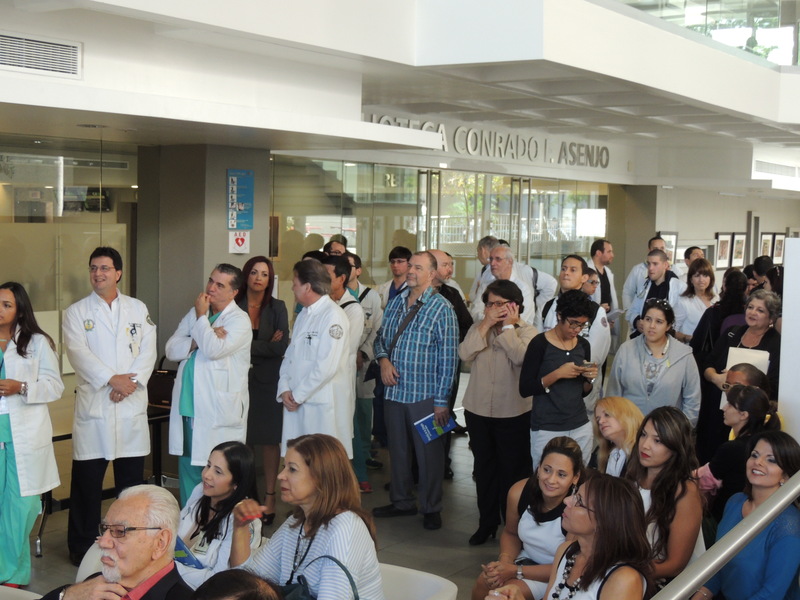 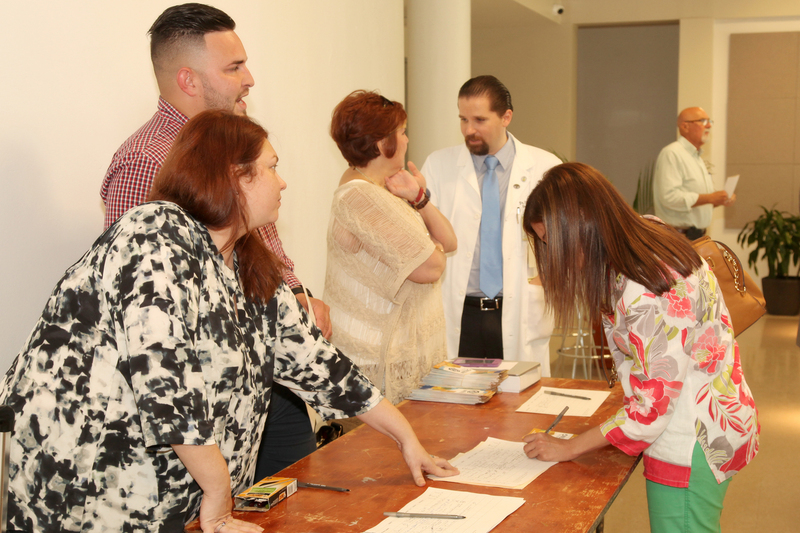 The Convention continued at the “La Concha” Hotel in San Juan where more than three hundred surgical specialists , community physicians and students participated in the activity. 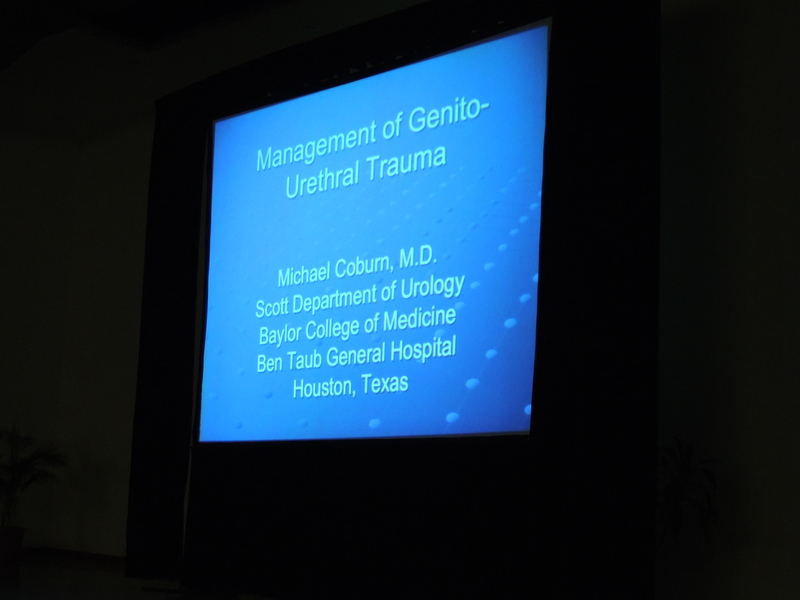 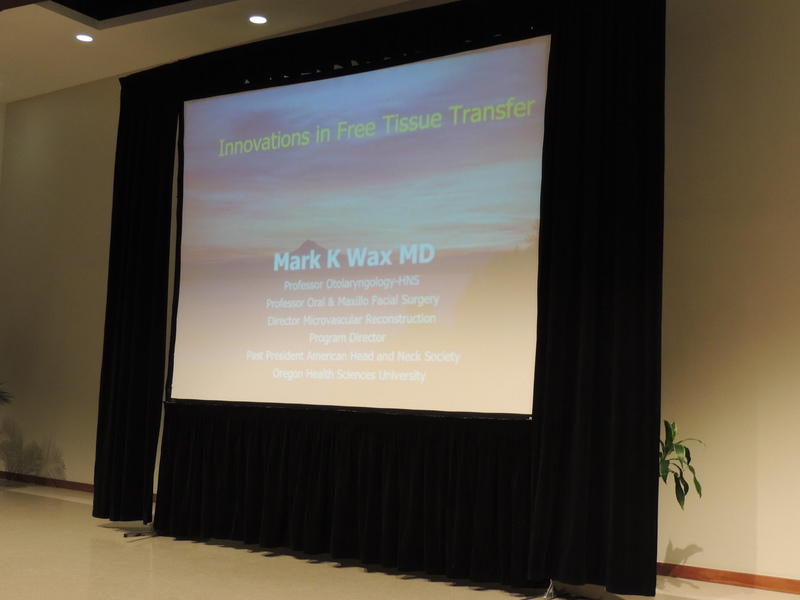 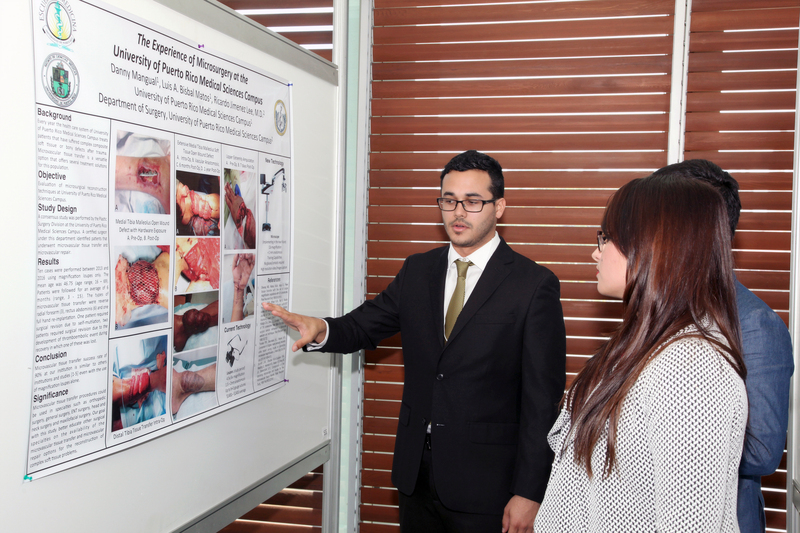 Experts in fields such as Inflammatory Bowel Disease , Transplantation , Oncology and Trauma to name a few presented their work in the activity. 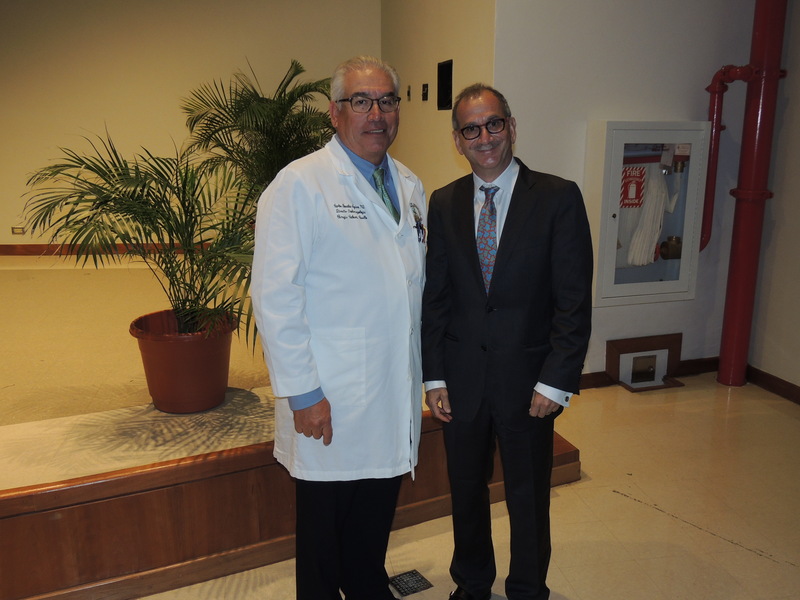 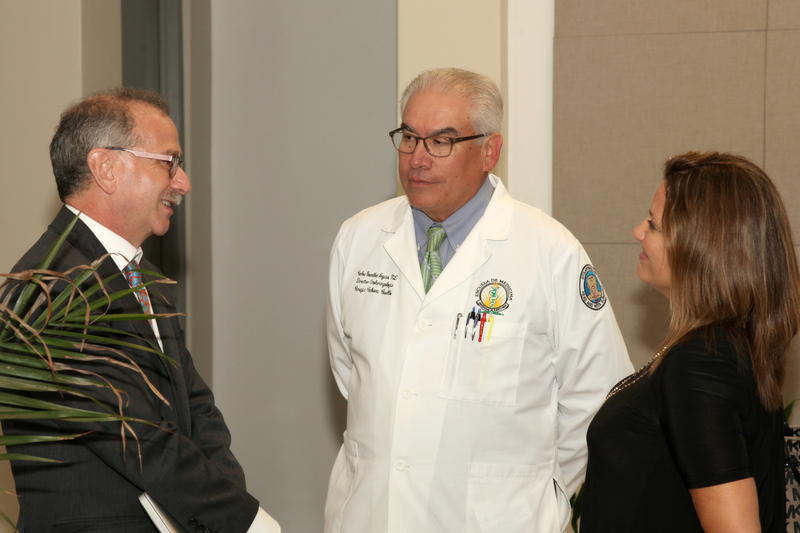 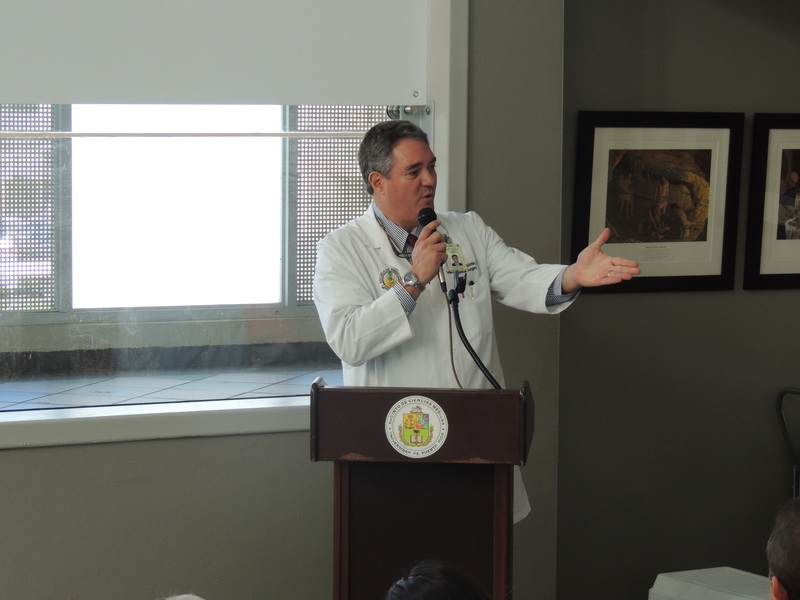 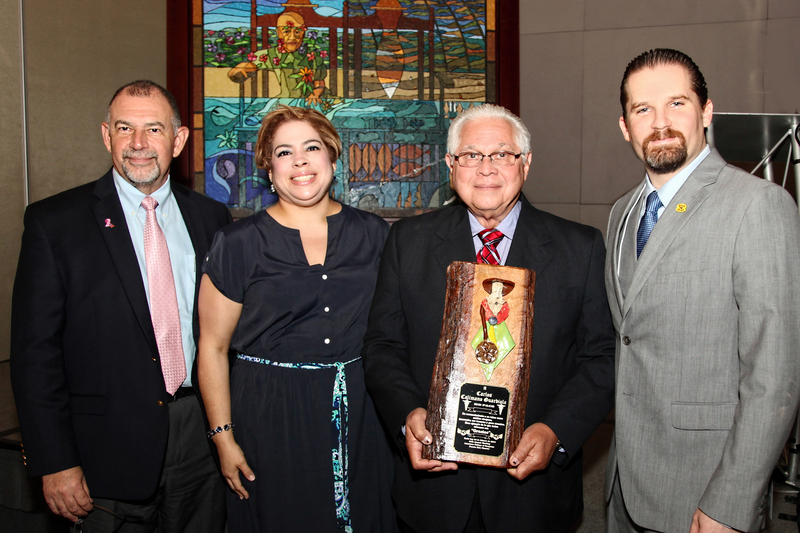 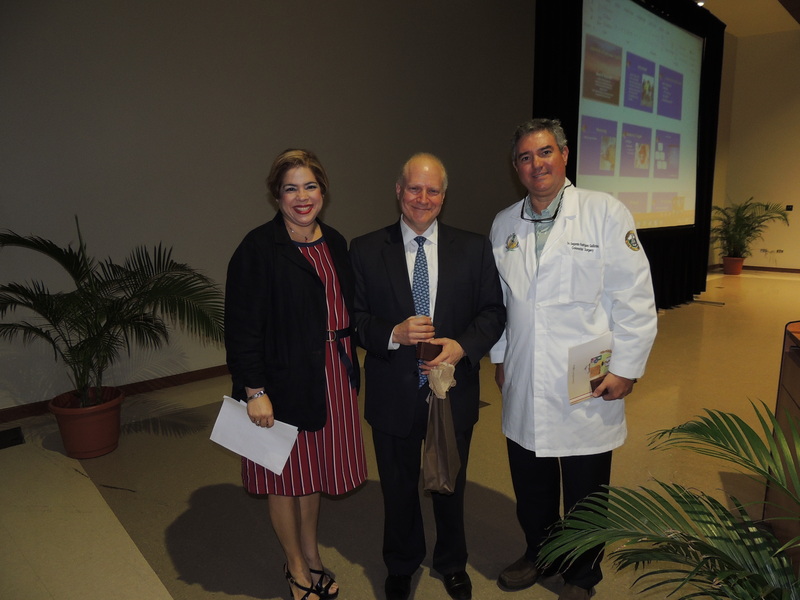 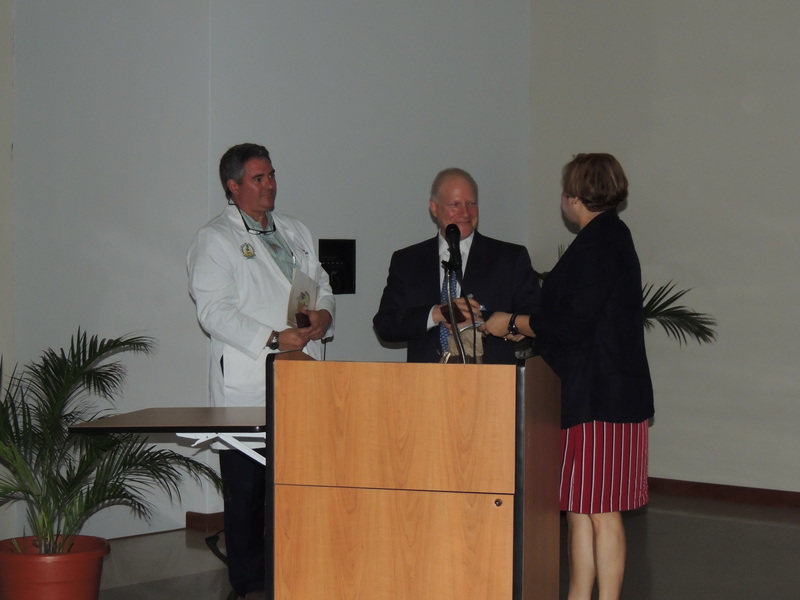 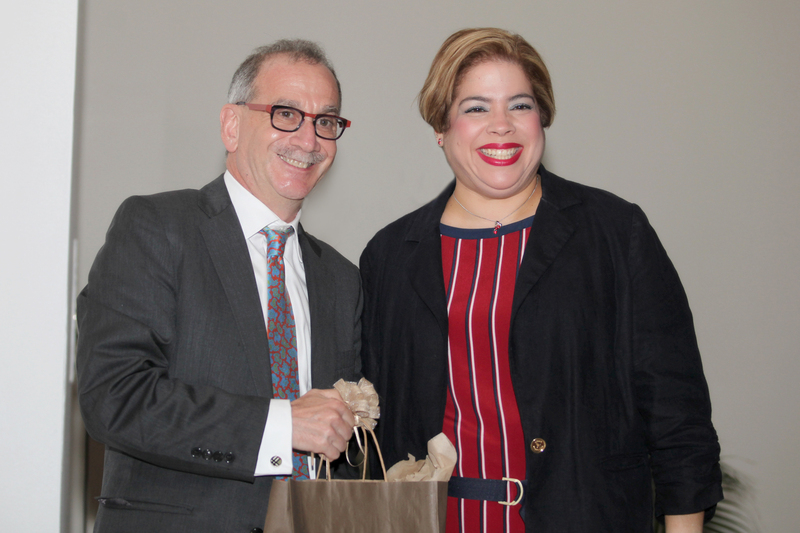 Dr. Carlos Calimano – Guardiola , general surgeon and peripheral vascular expert was recognized in the activity for his contributions to the training of surgeons in Puerto Rico and for his characteristics as an exceptional human being. 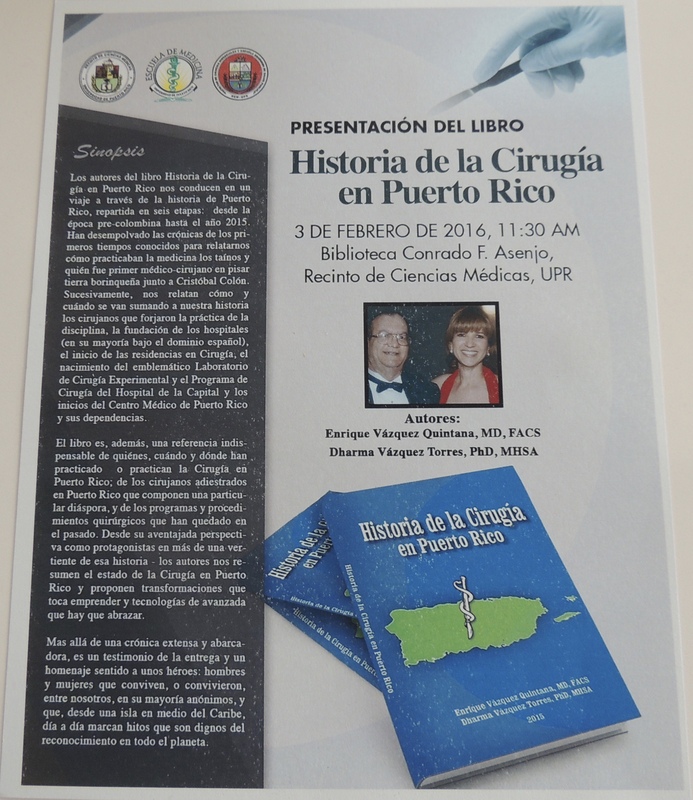 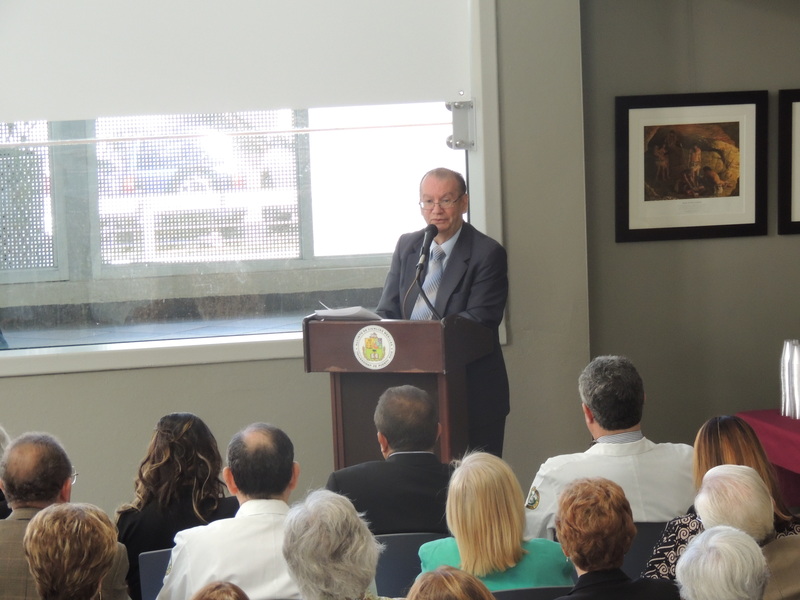 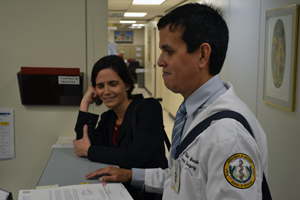 The book was presented by the author Dr. Enrique Vázquez Quintana former Secretary of Health in 1993. 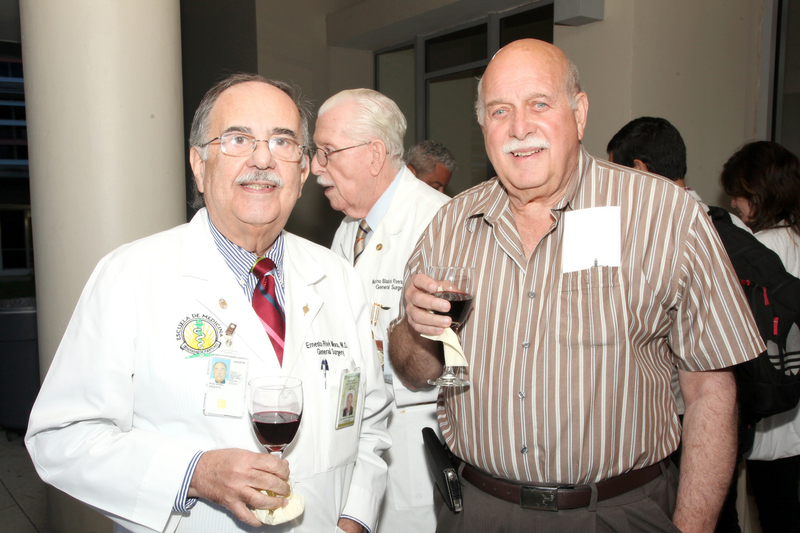 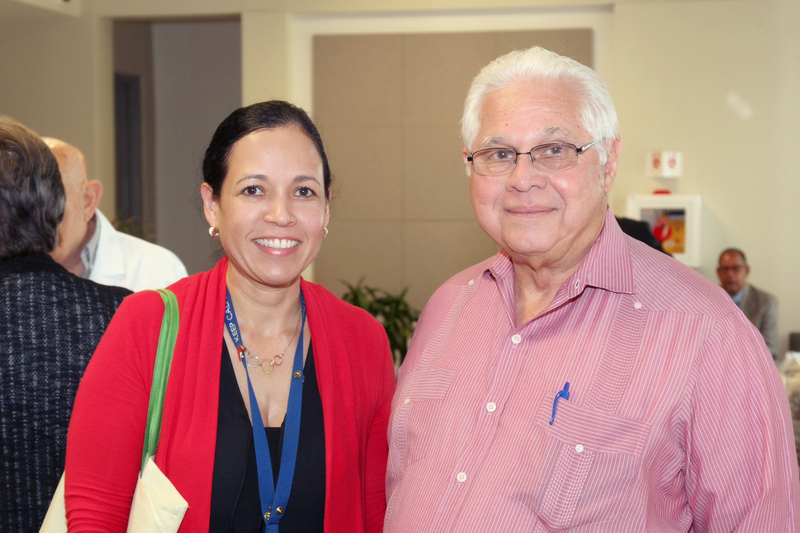 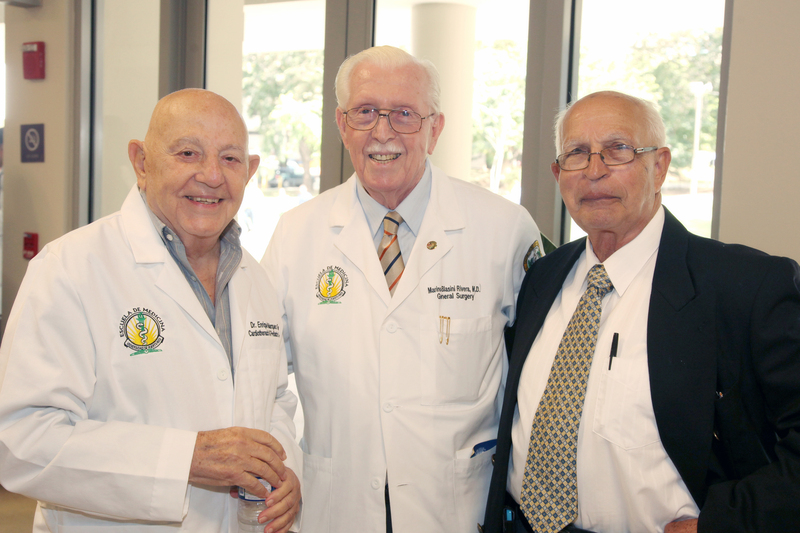 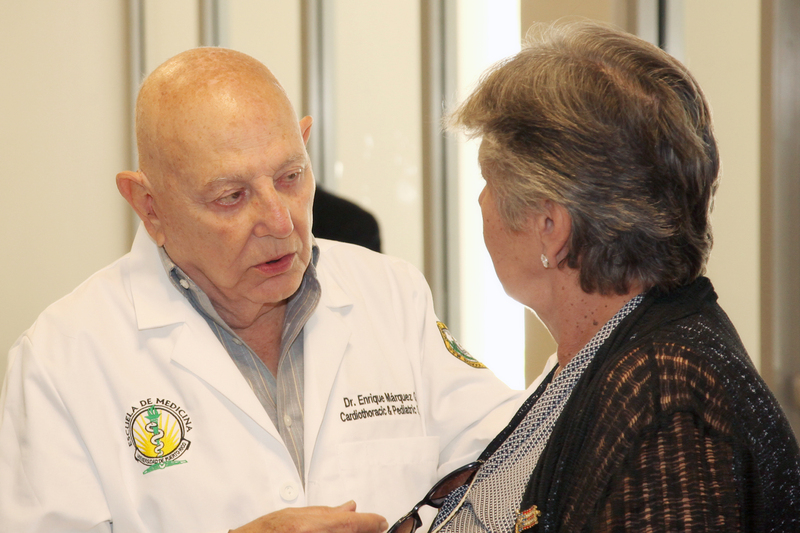 He directed the Surgery Training Program of the School of Medicine University of Puerto Rico from 1973 to 1980, and was the Chair of the Department of Surgery from 1983 to 1989. 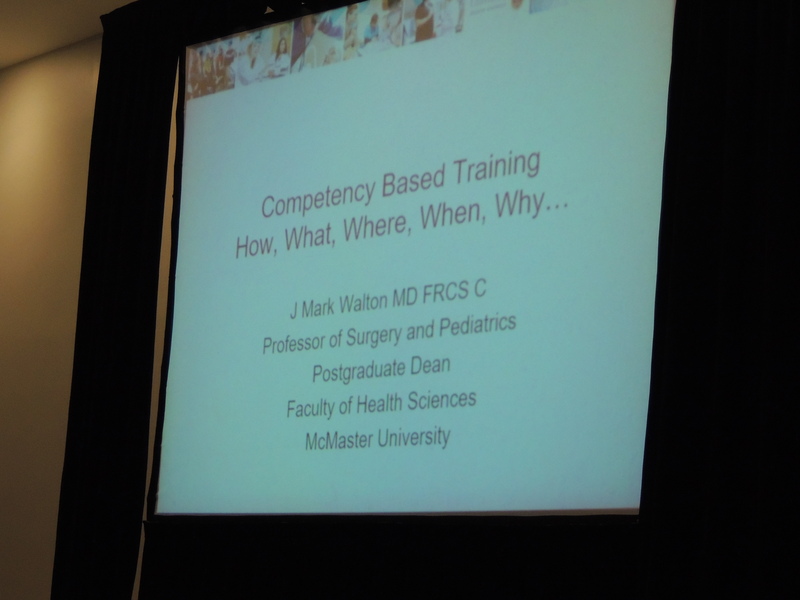 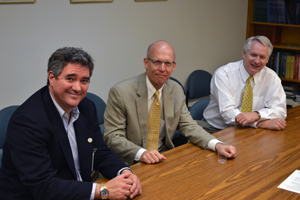 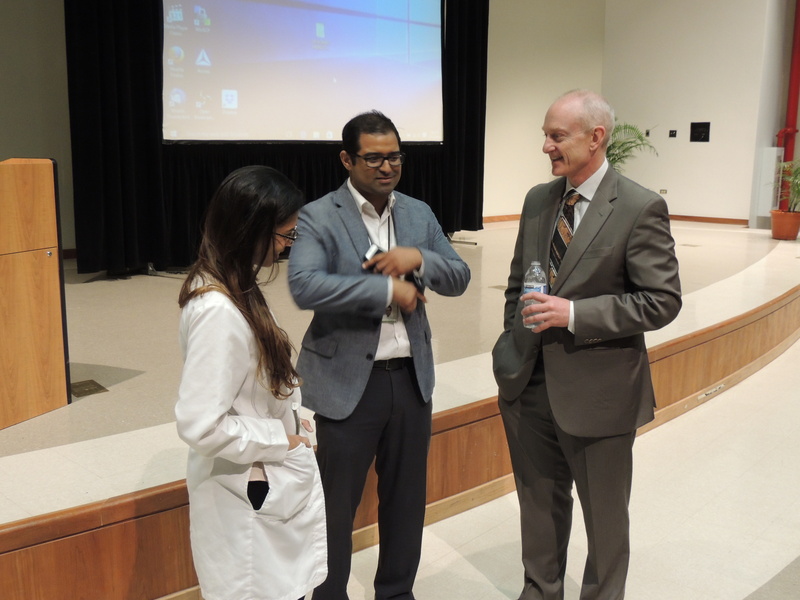 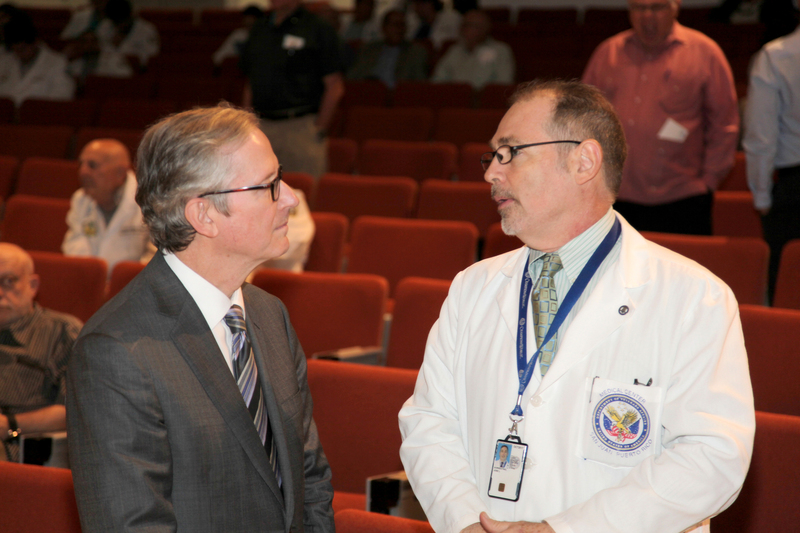 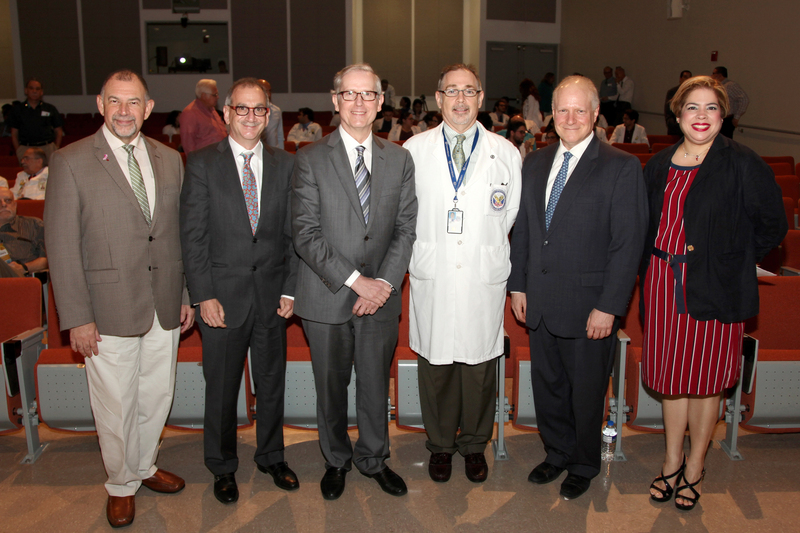 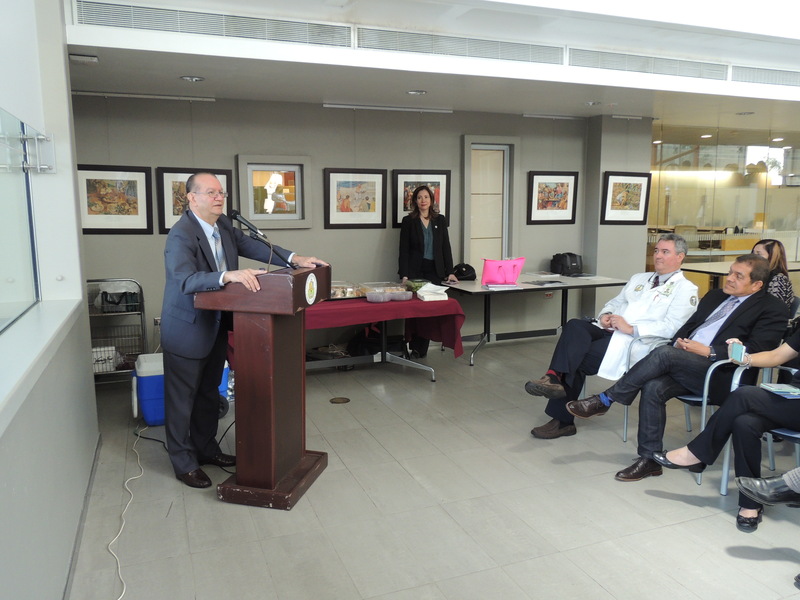 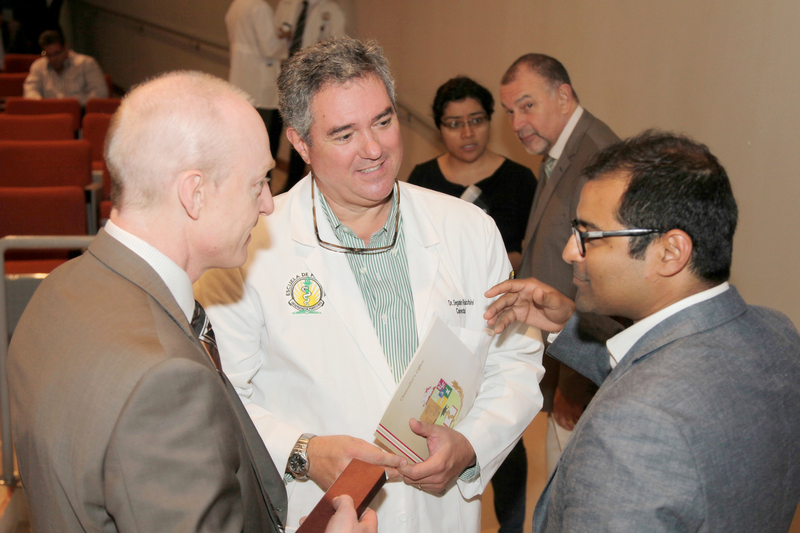 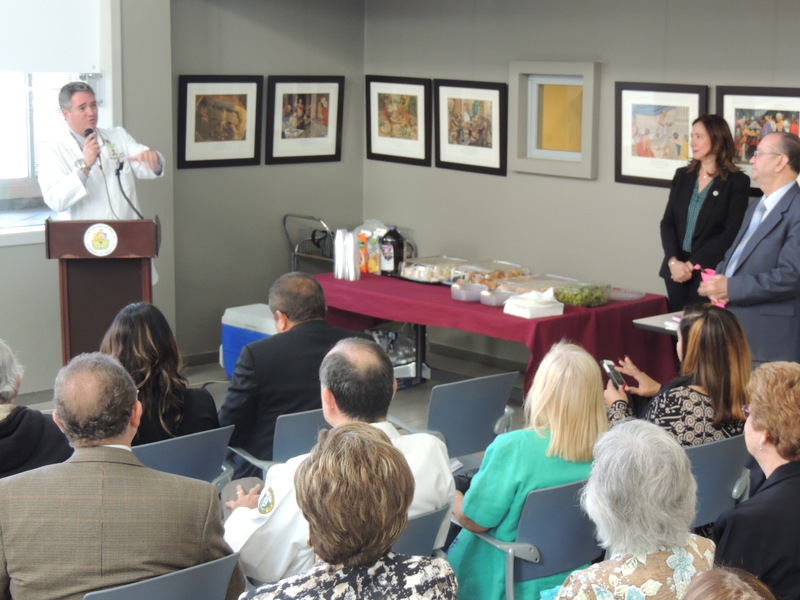 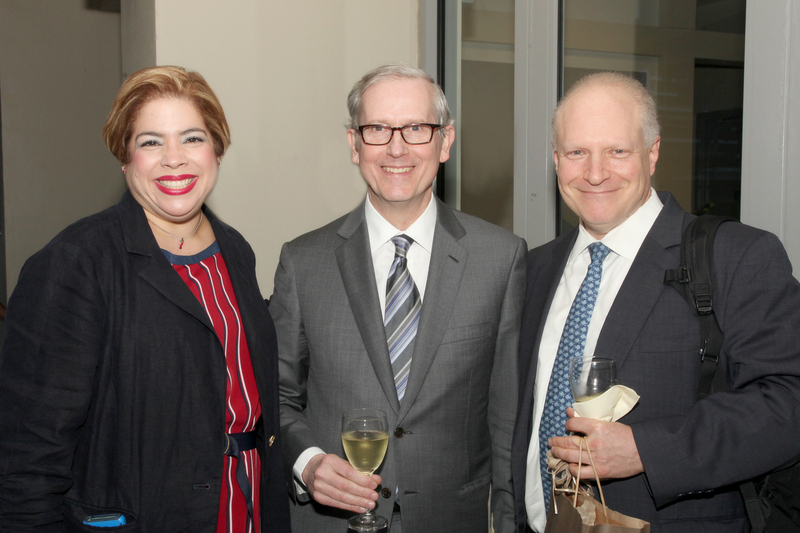 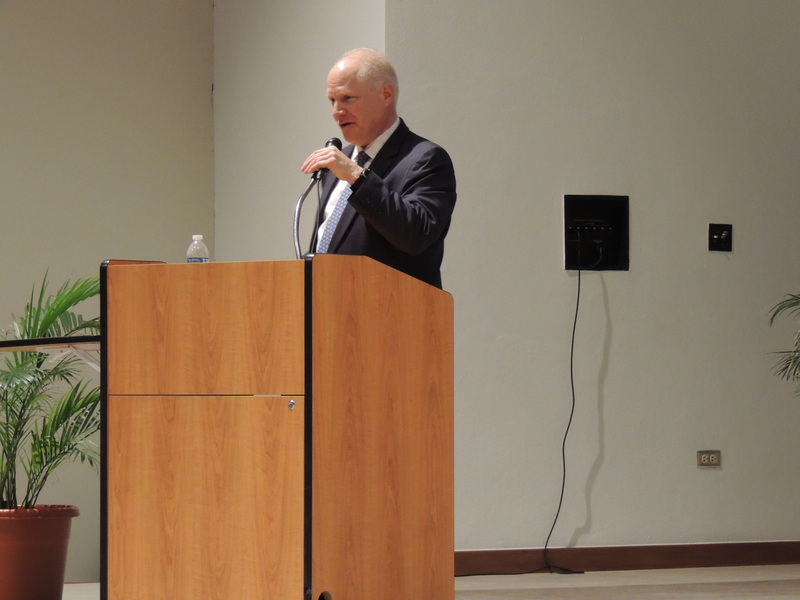 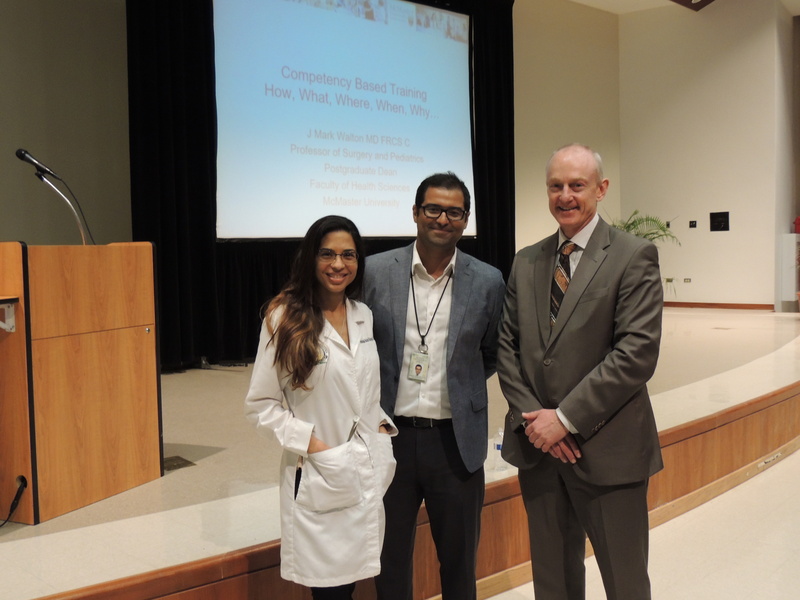 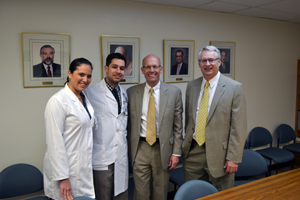 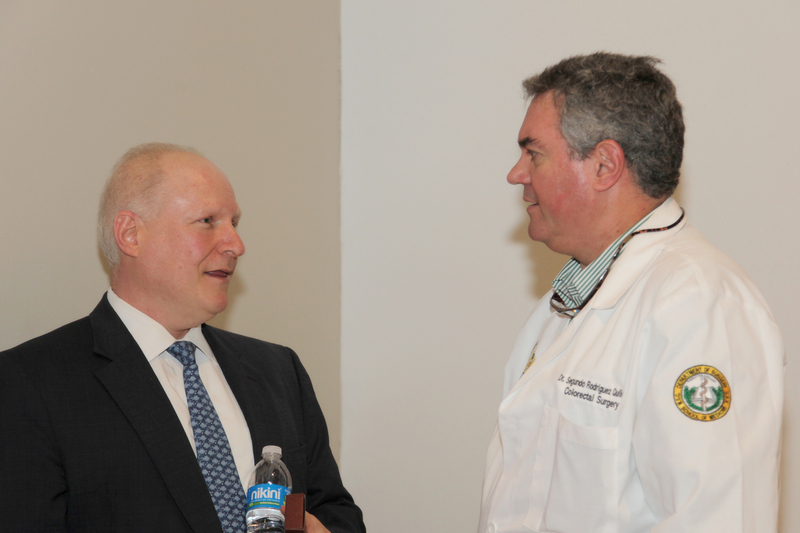 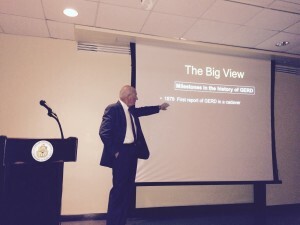 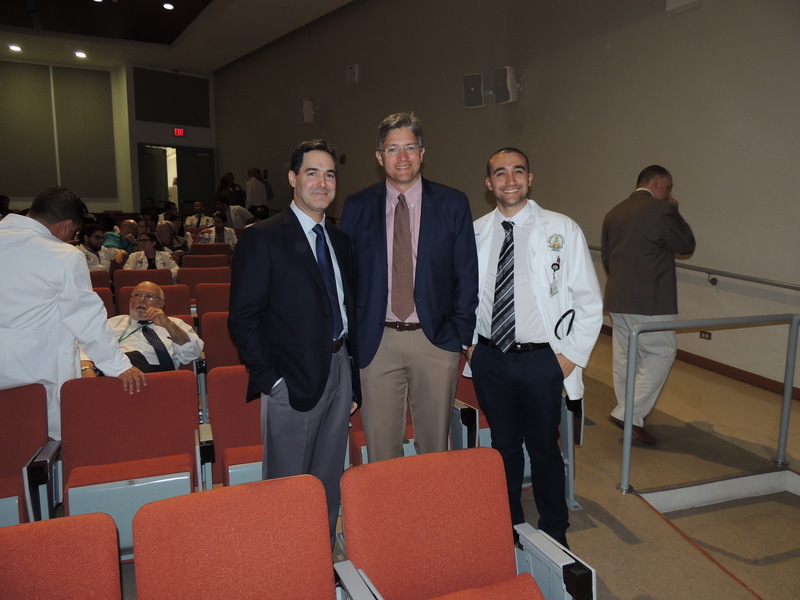 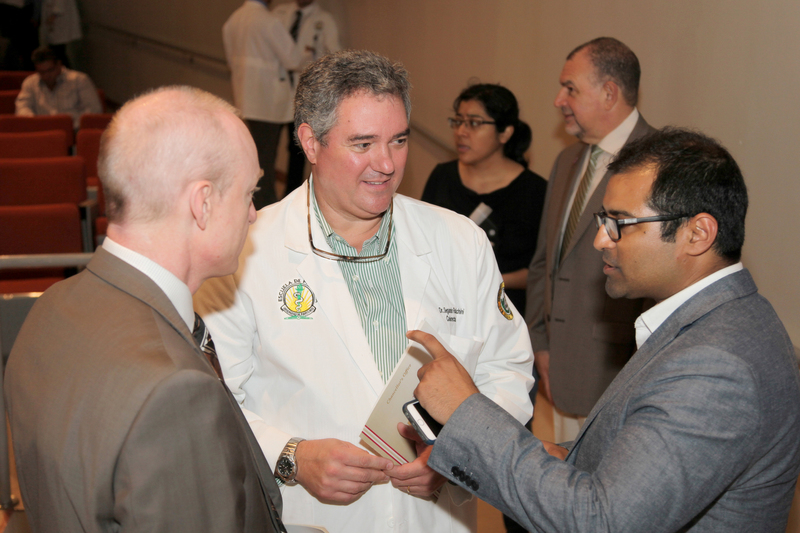 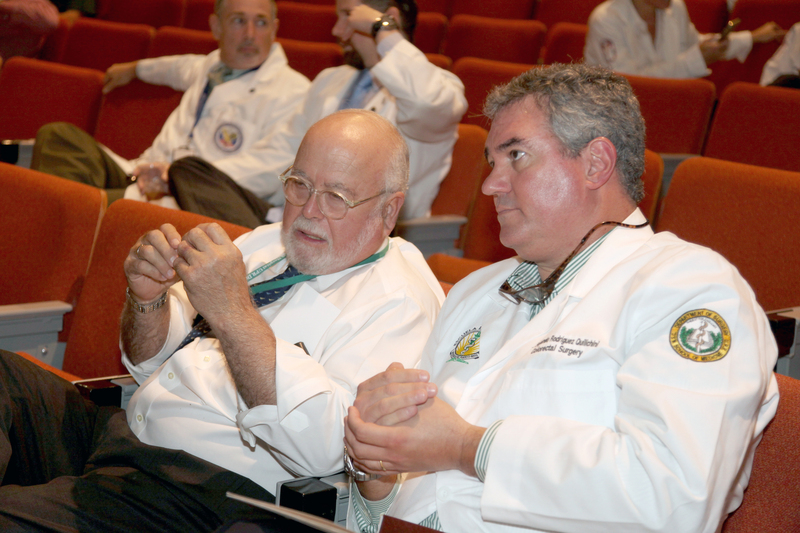 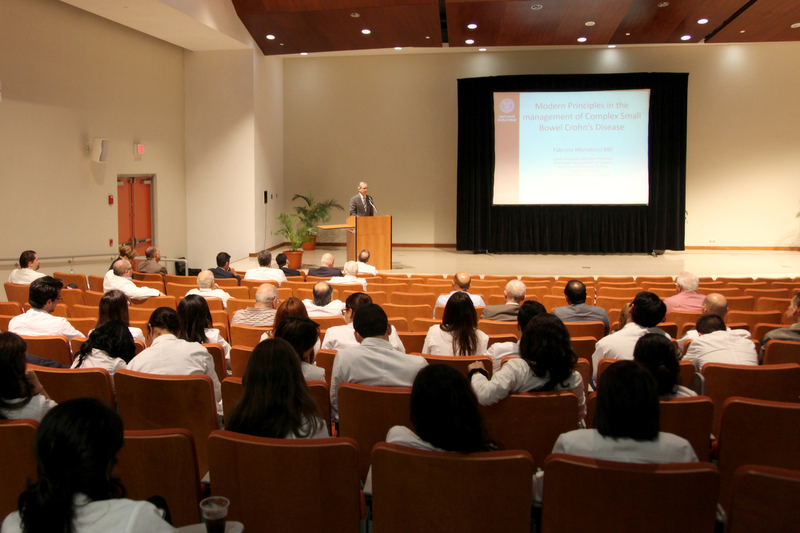 Our Department was visited on April 8, 2015 by Dr. Tom Ryan DeMeester, FACS, Emeritus Professor and Chairman of the Department of Surgery at the University of Southern California, Keck School of Medicine, Los Angeles, California, as keynote speaker of our Grand Round activities. 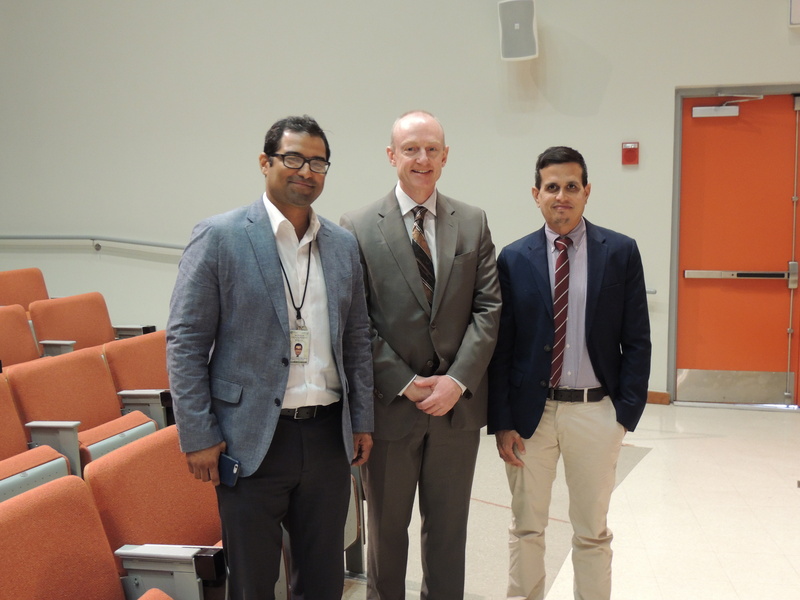 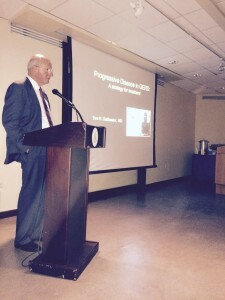 He presented the lecture titled: “Progressive Disease in Gastroesophageal Reflux Disease”. 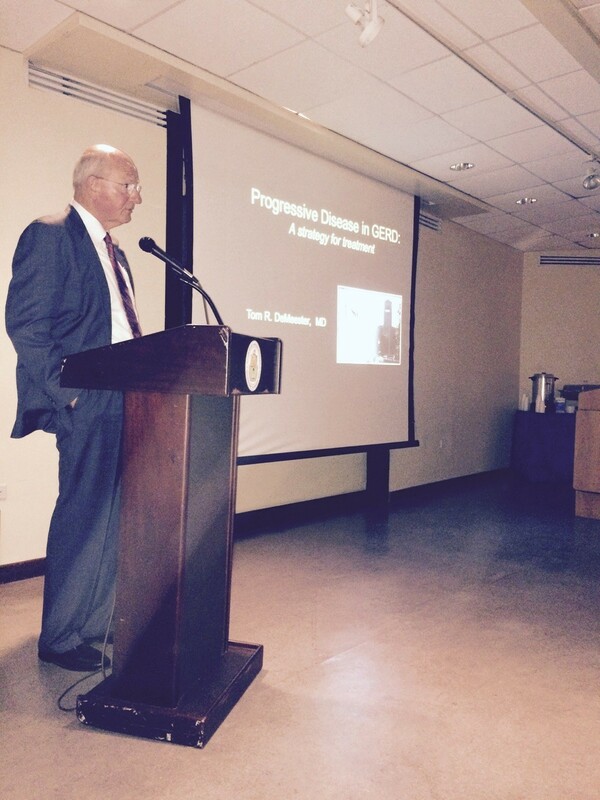 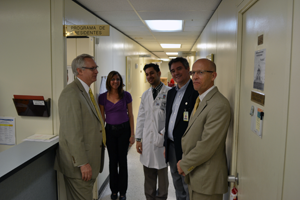 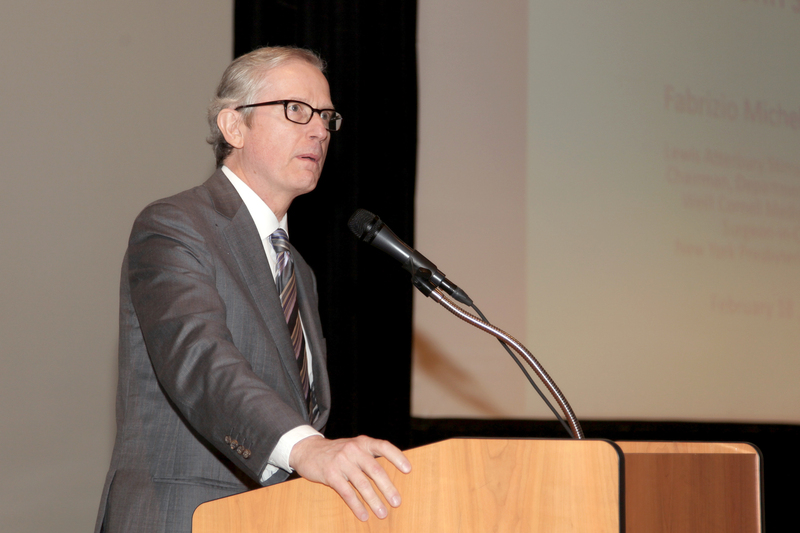 Dr. DeMeester is well known for his interest in foregut disease. 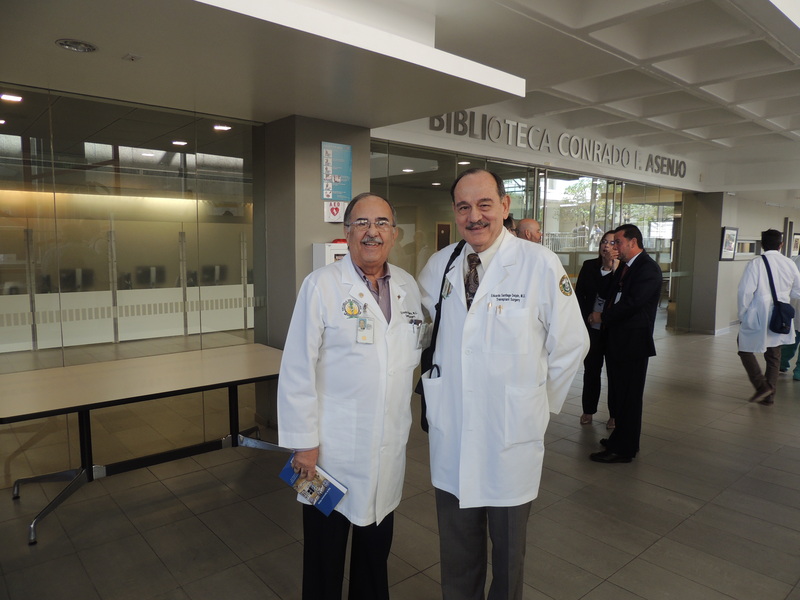 He is the originator and developer of important contribution to the understanding of the physiology and patho-physiology of diseases of the esophagus and their surgical correction. 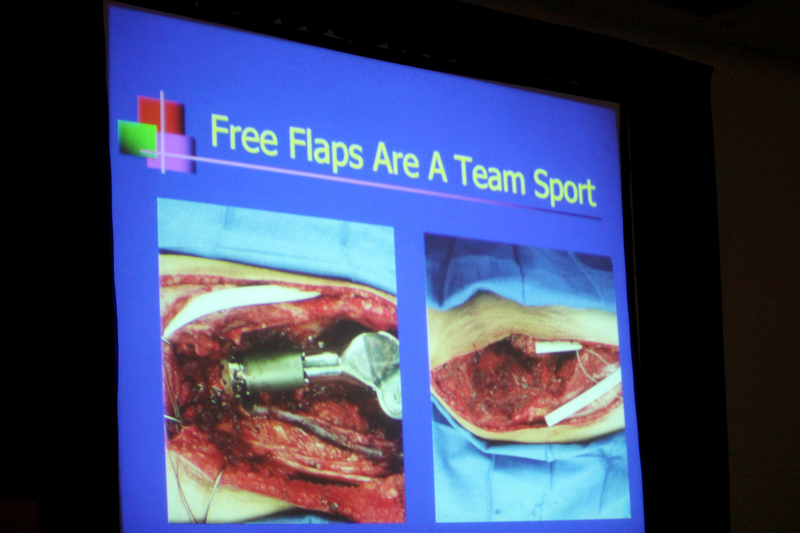 He is a real role model in surgery. 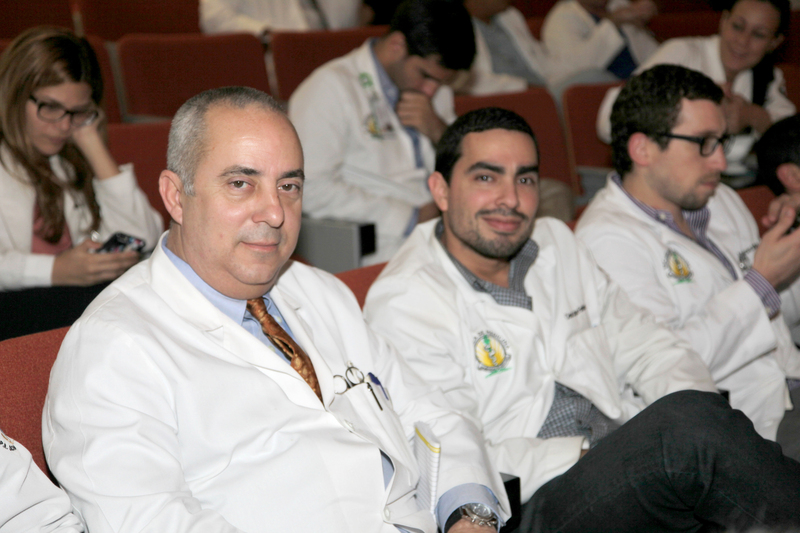 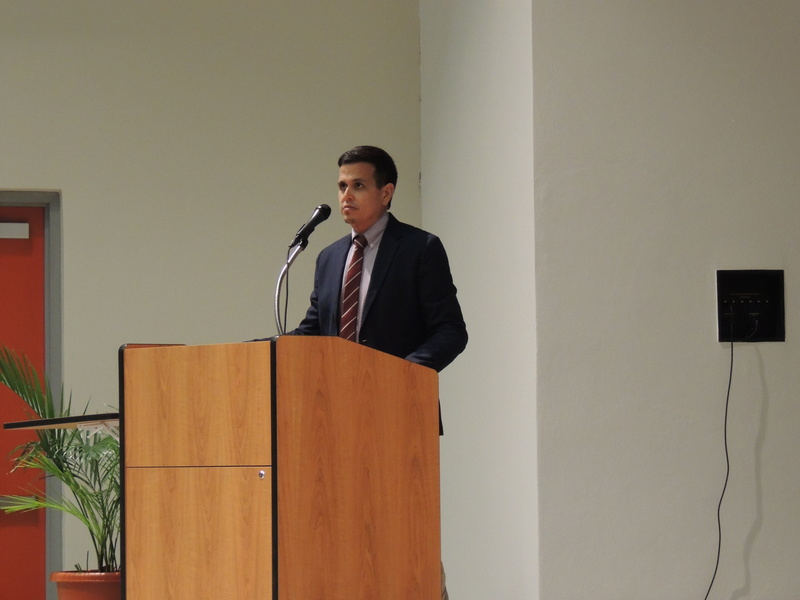 Anwar Abdul-Hadi: Prevalence of Diabetes in the Surgical Population of Puerto Rico. 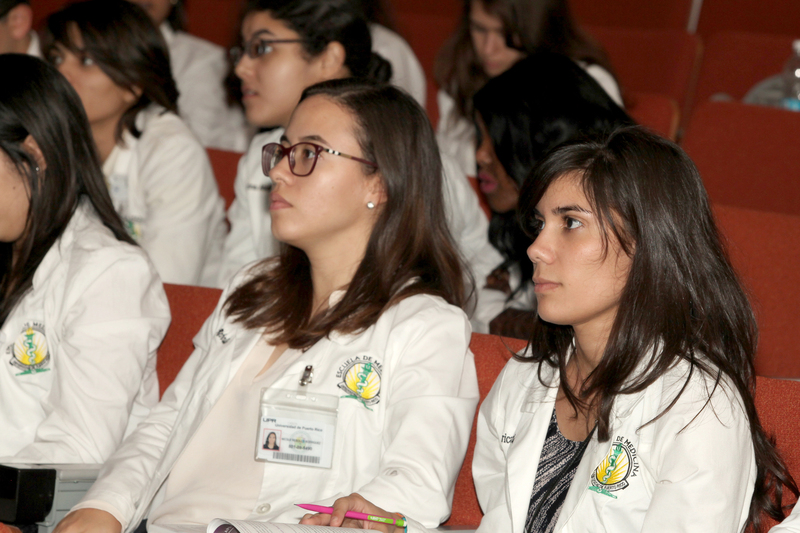 Annette Pascual: The Sonograhic Subcentimeter Thyroid Nodule with Mallignant Cytopathology: What Does it Stand For? 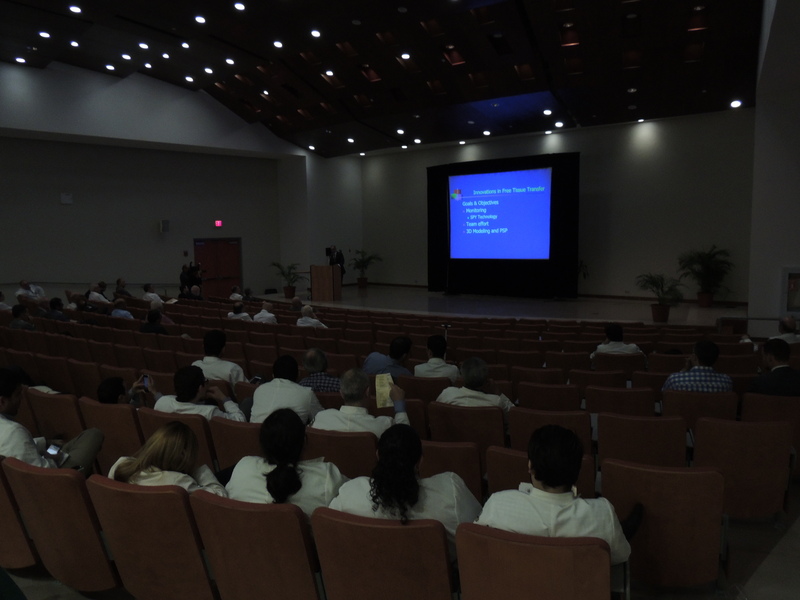 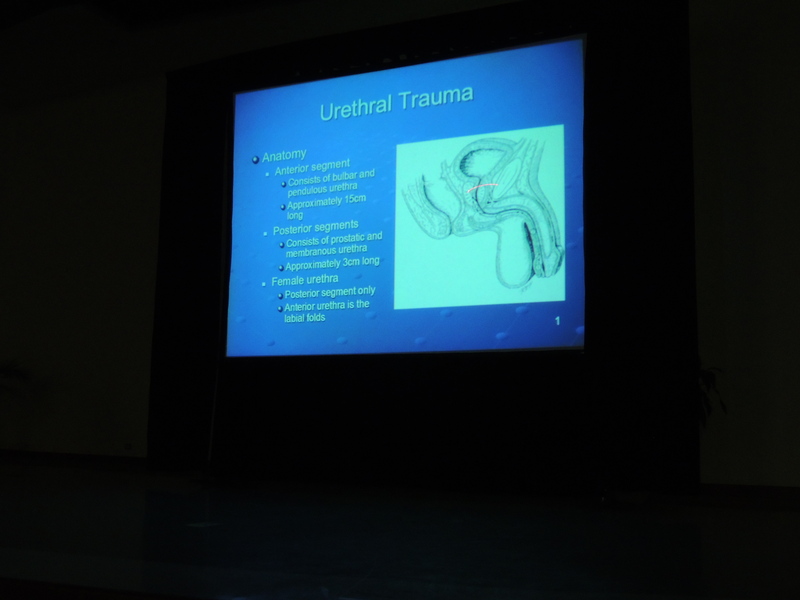 Marcos Salgado: Trauma Epidemiology in Puerto Rico.